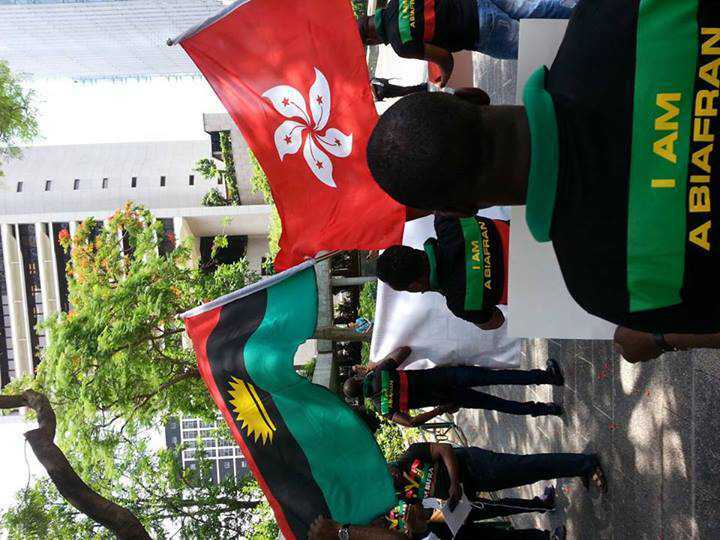 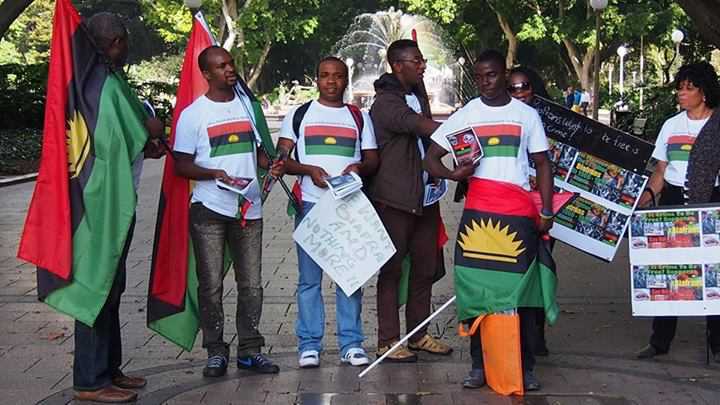 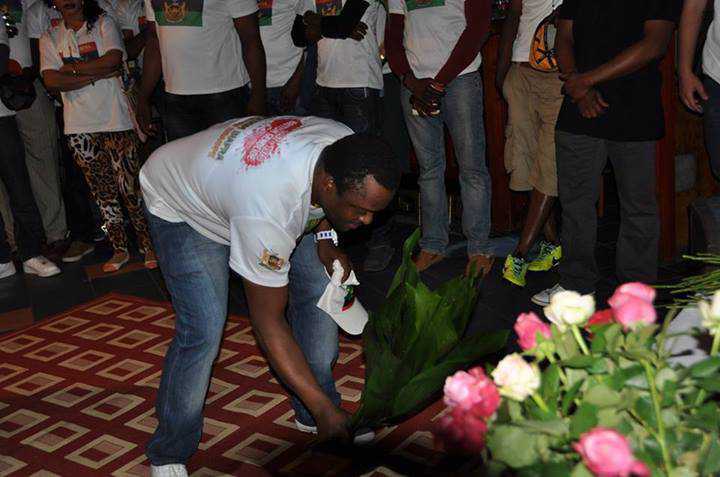 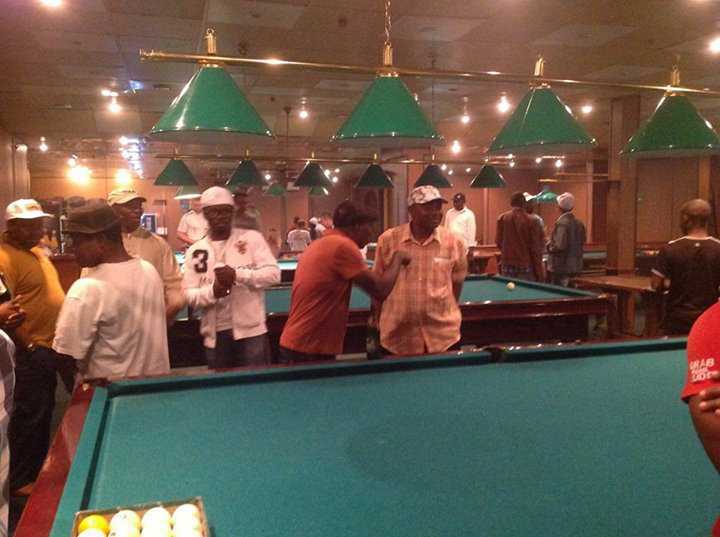 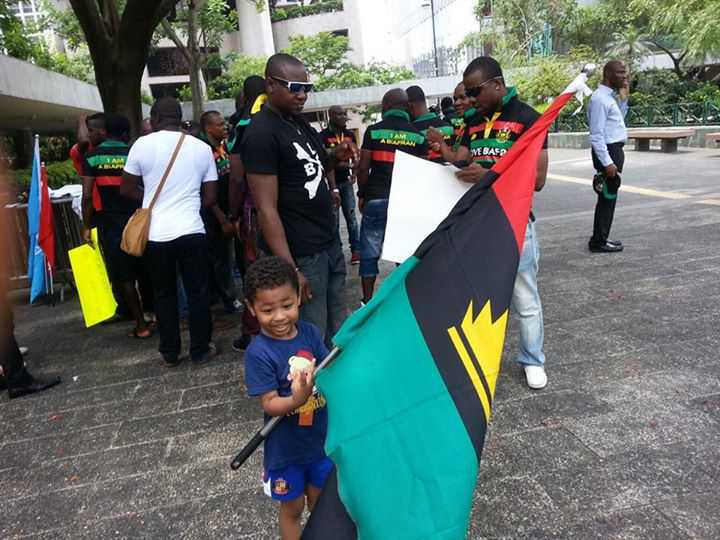 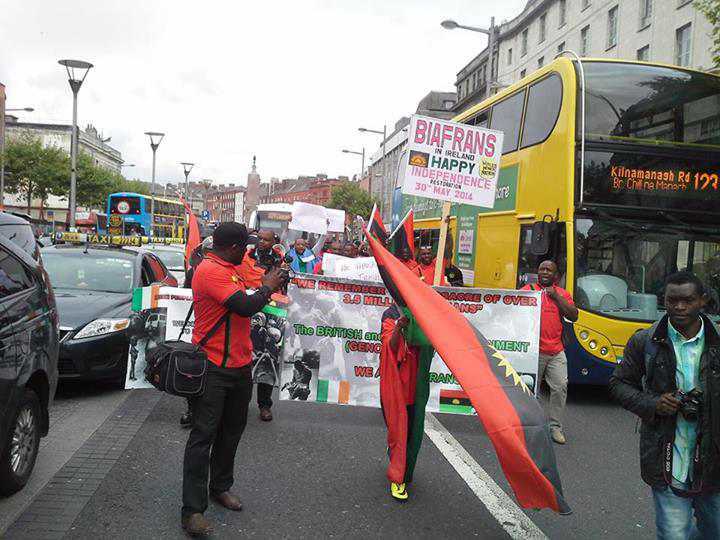 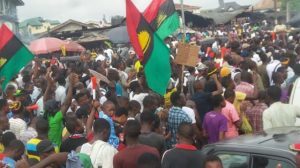 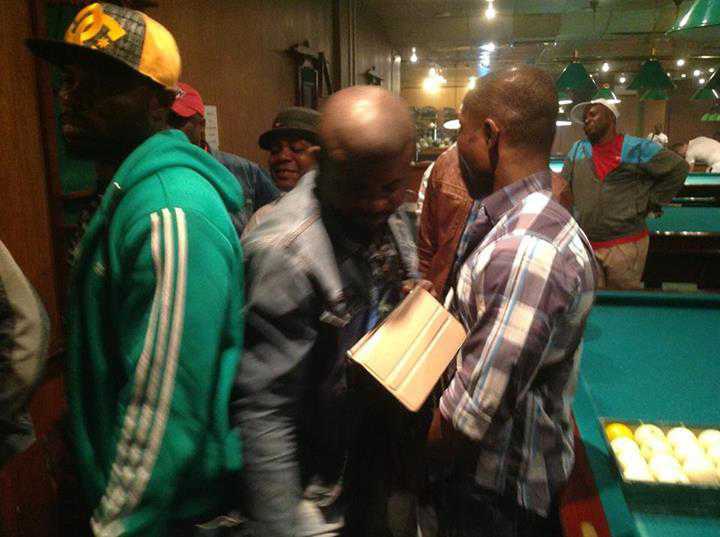 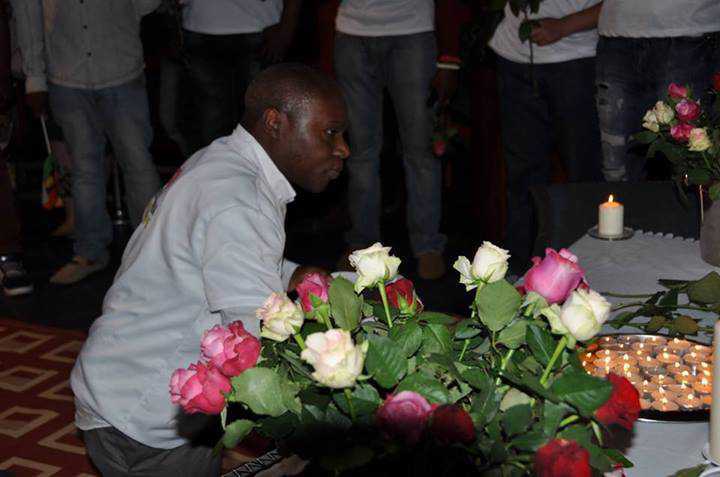 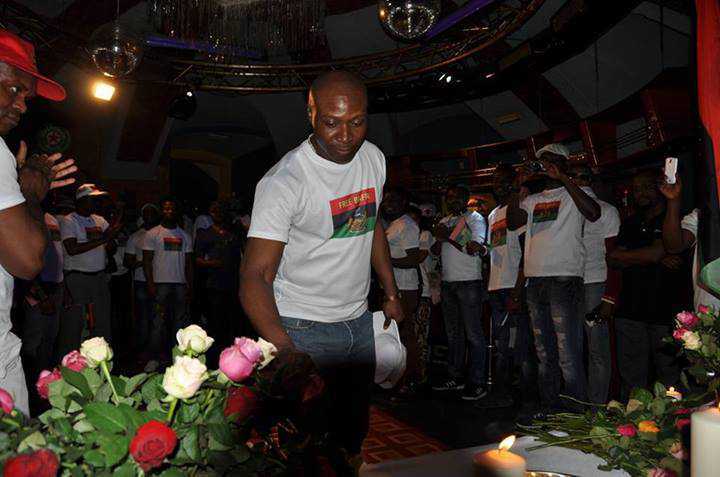 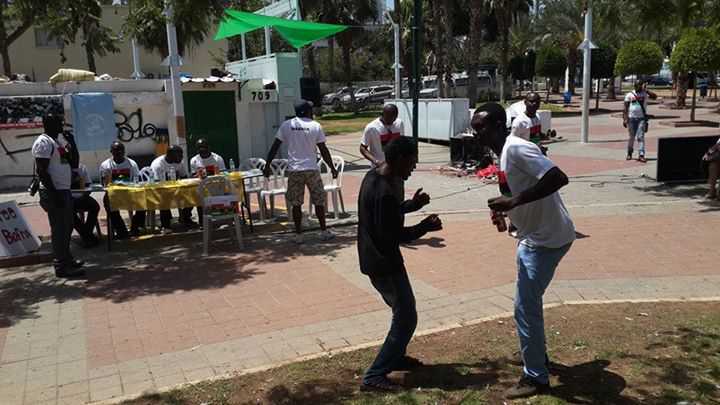 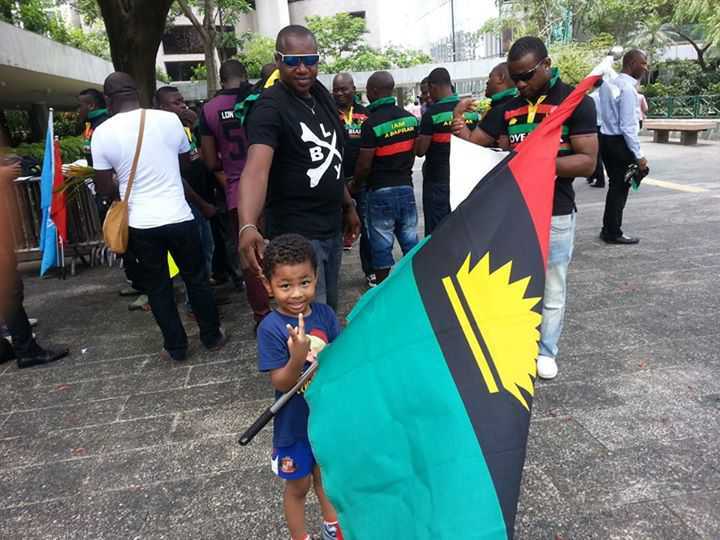 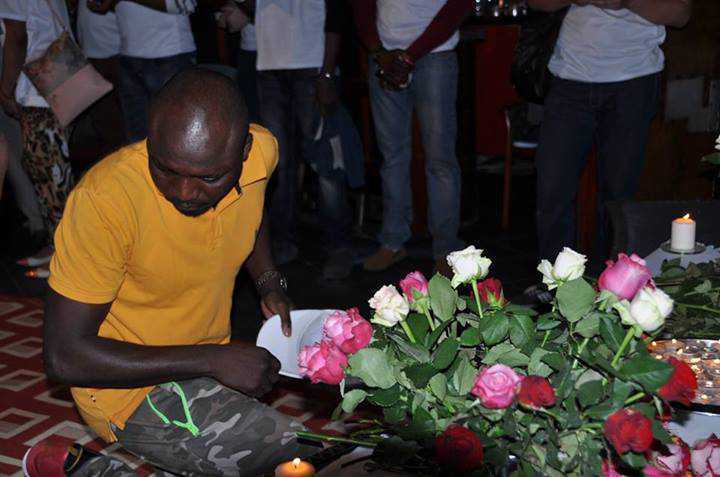 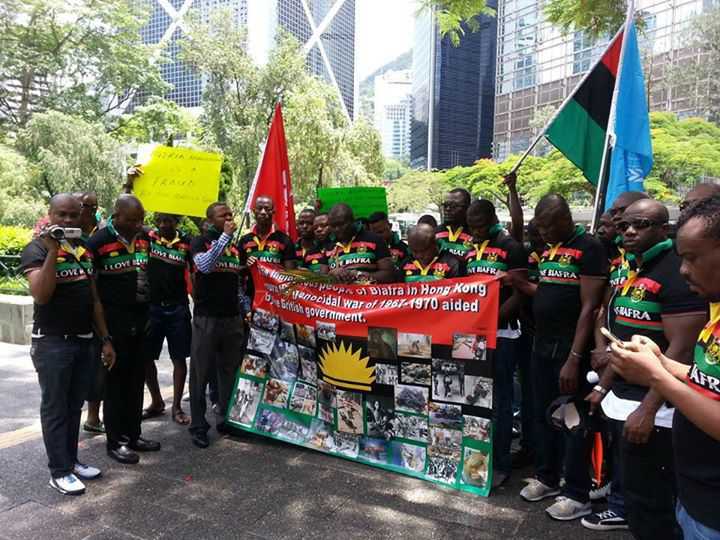 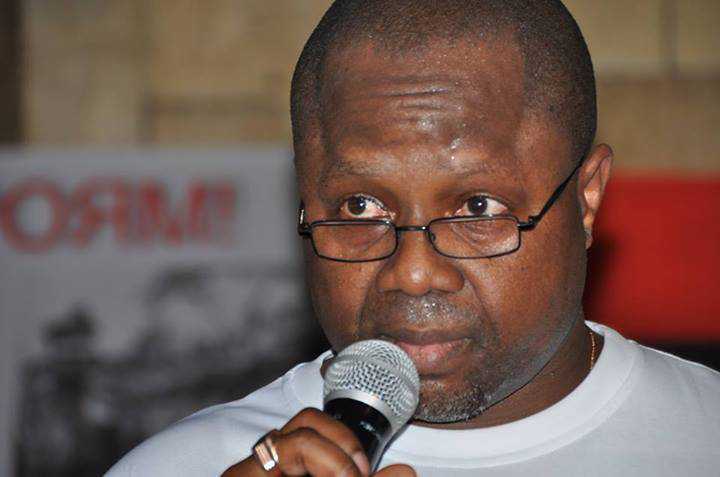 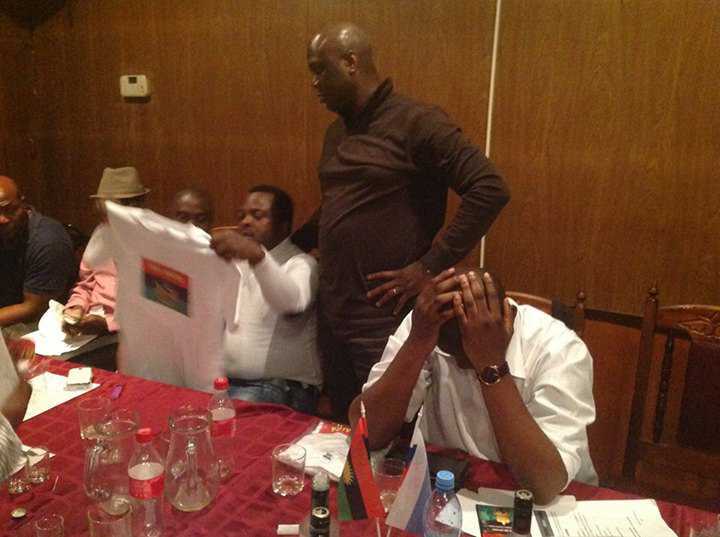 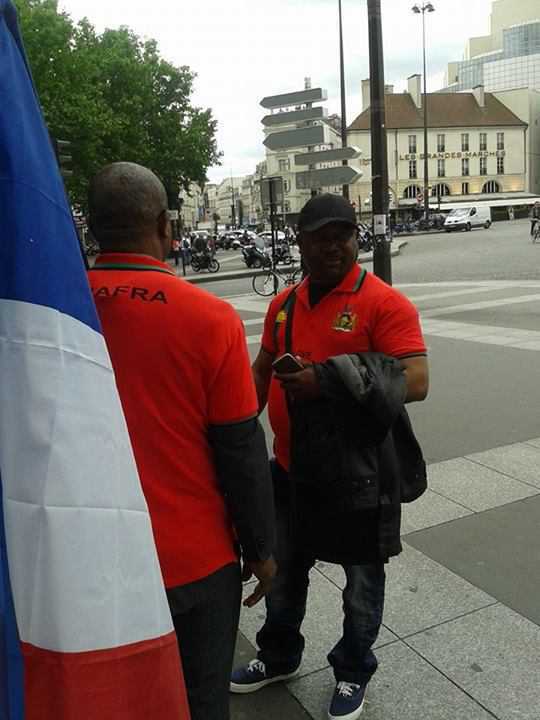 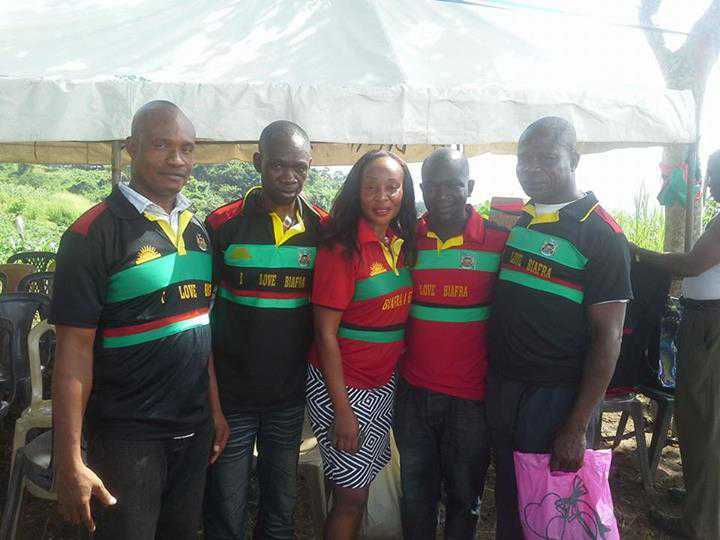 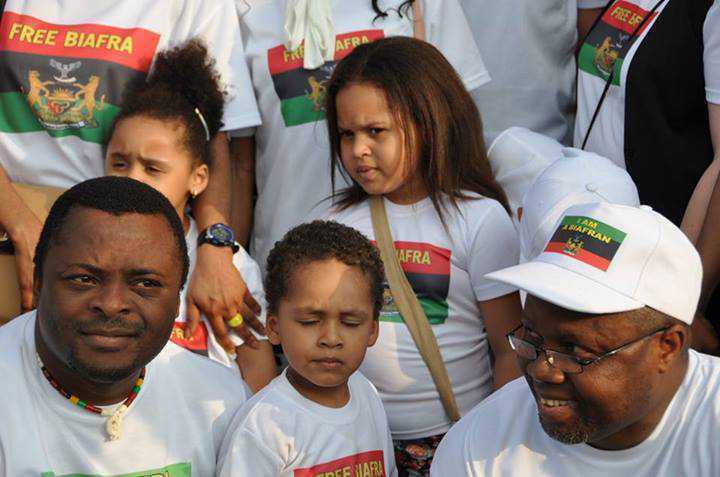 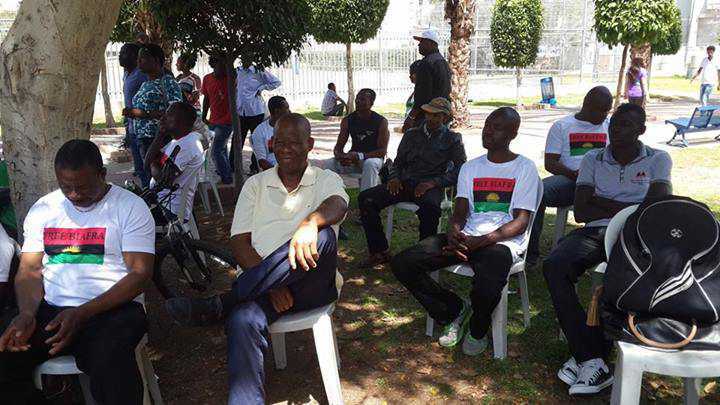 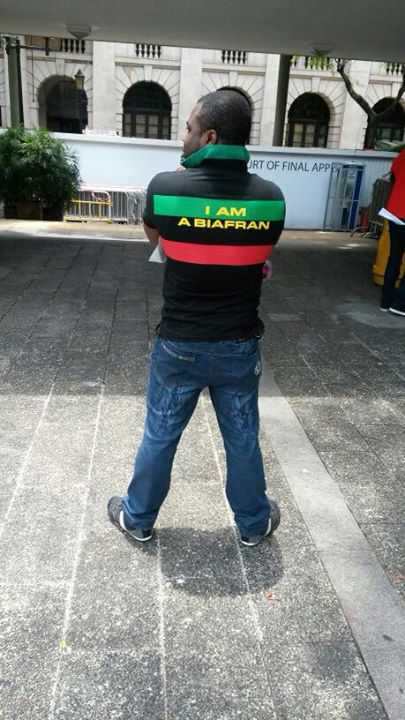 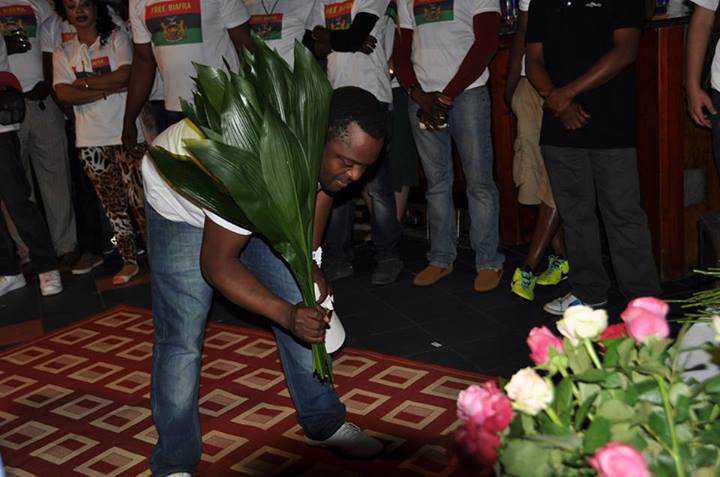 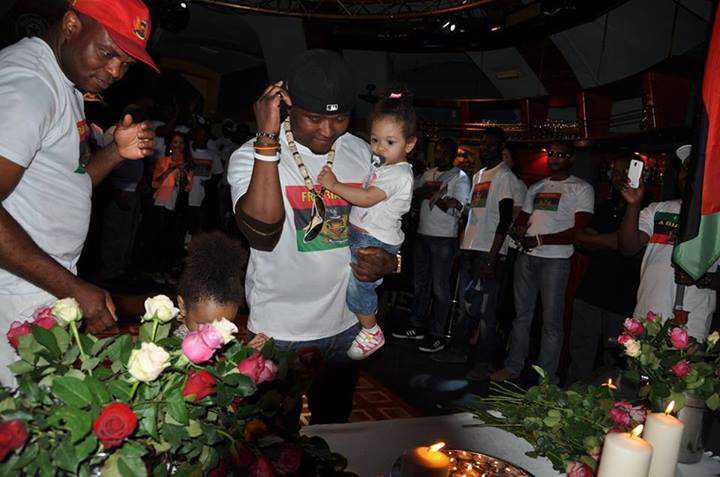 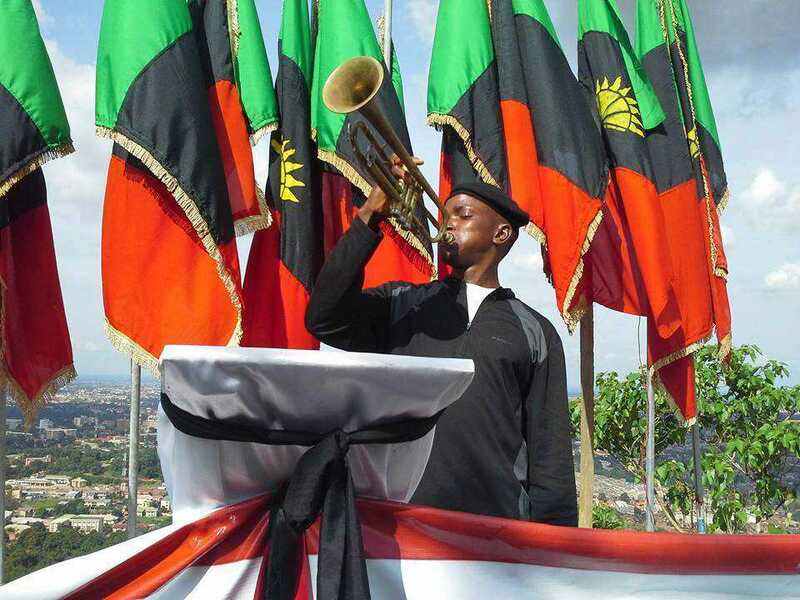 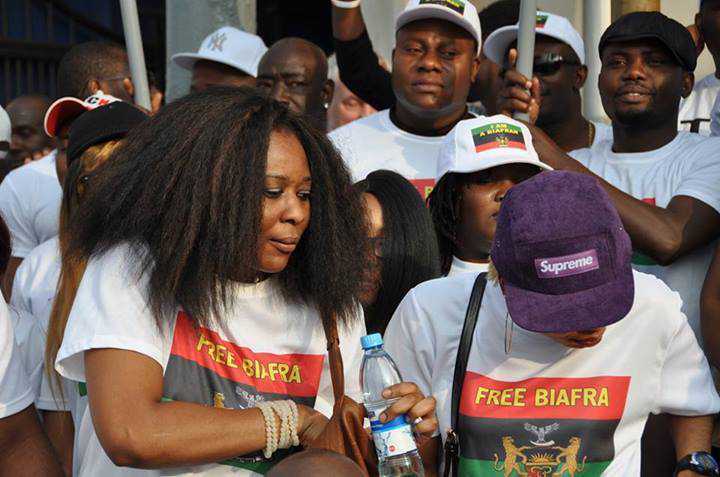 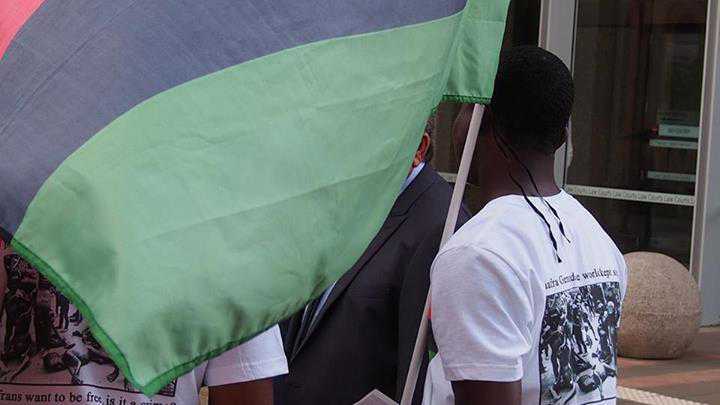 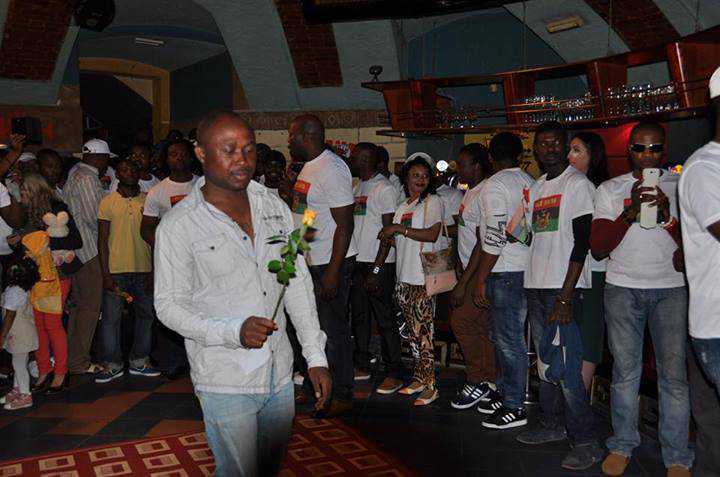 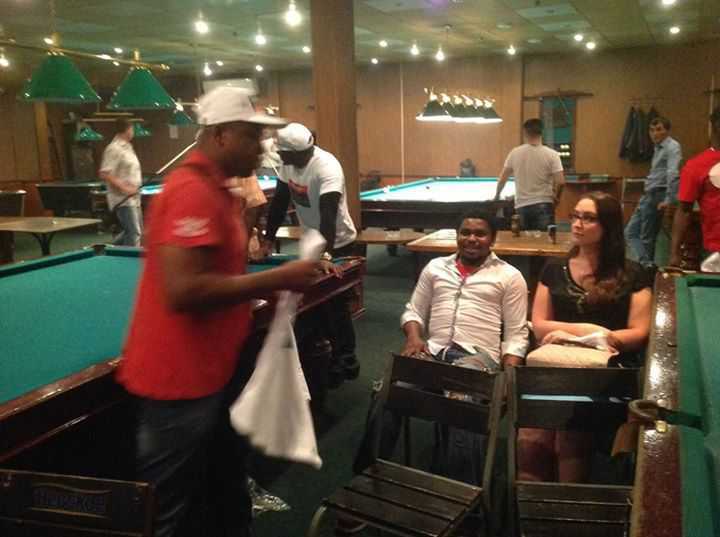 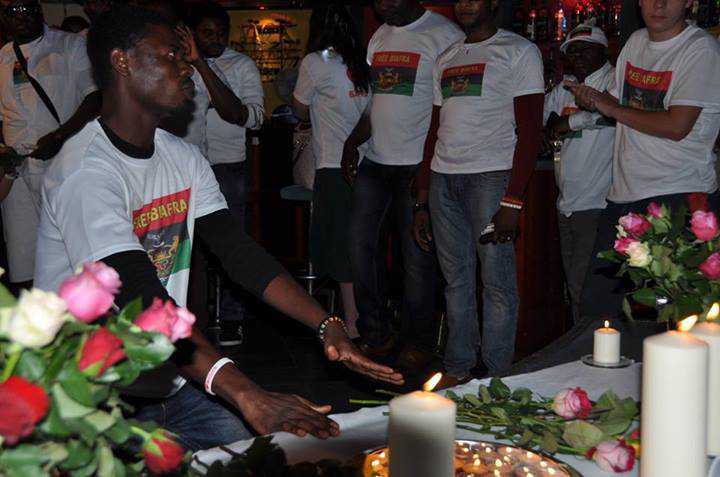 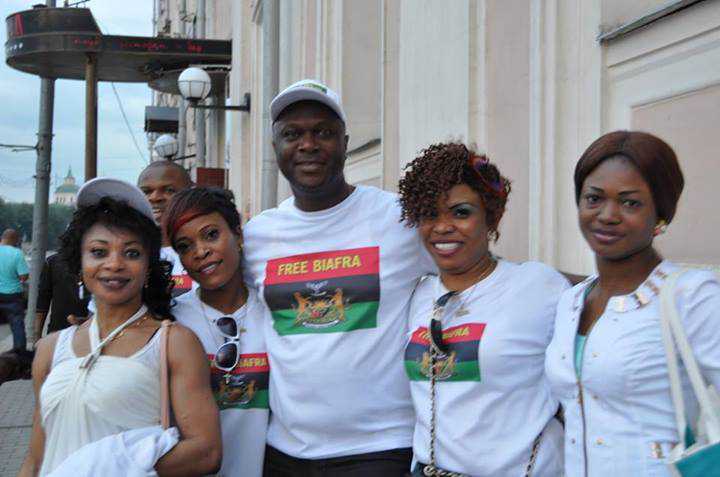 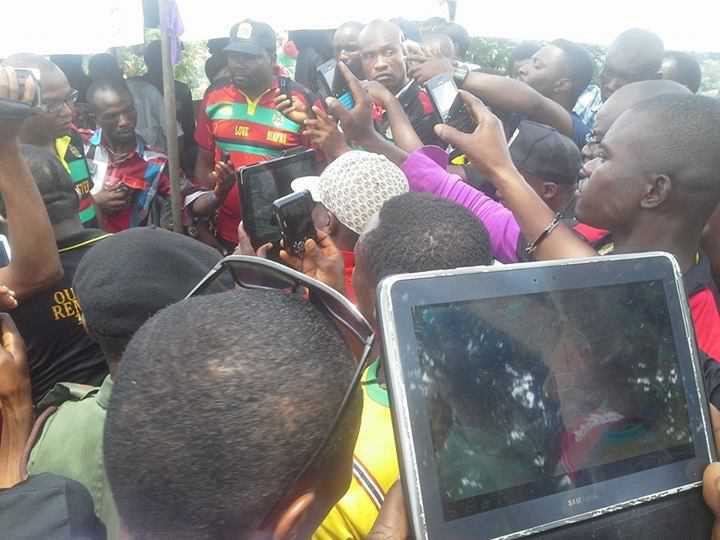 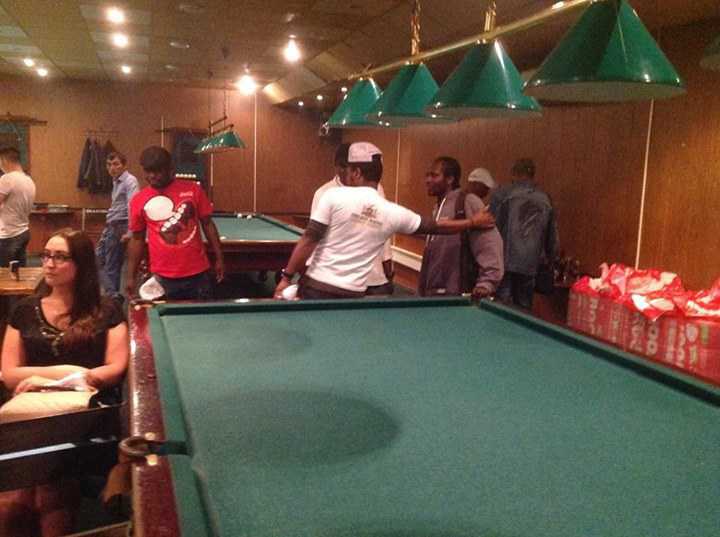 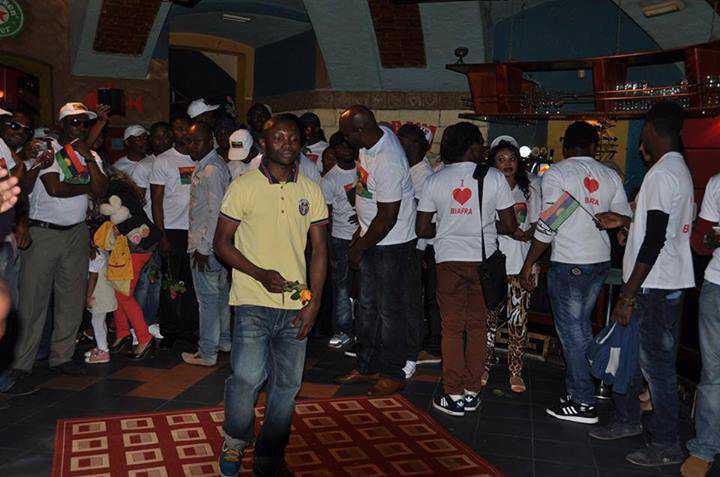 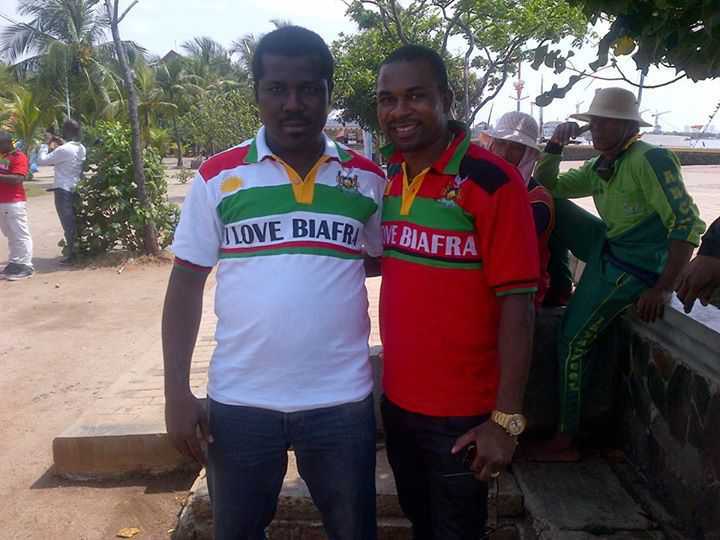 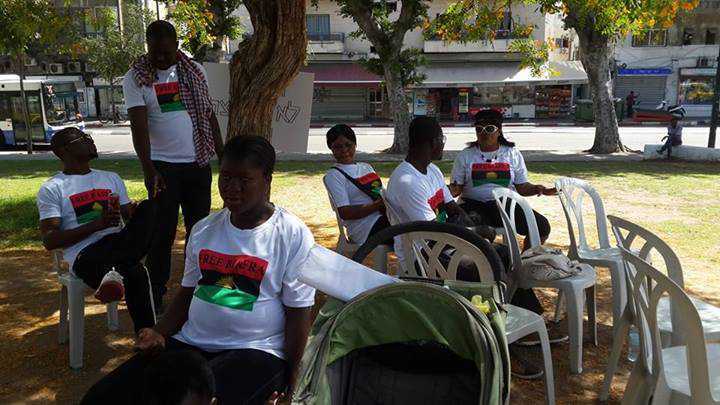 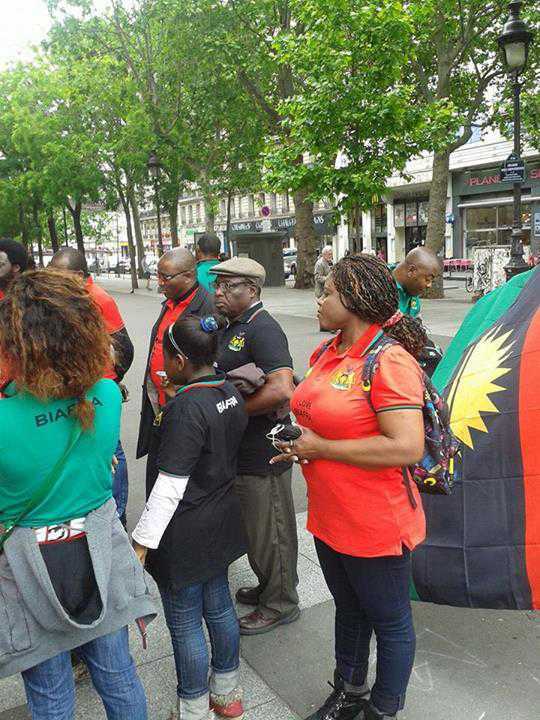 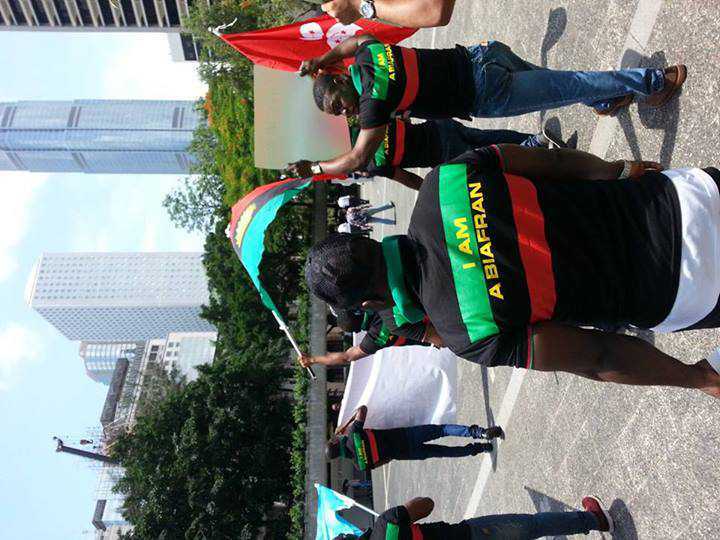 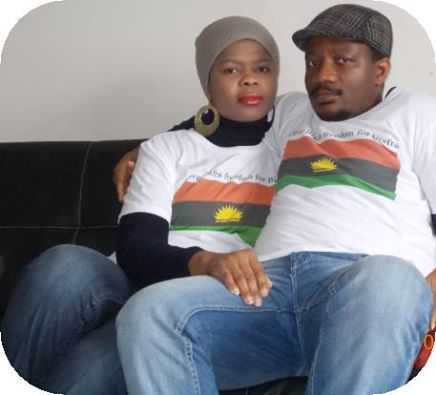 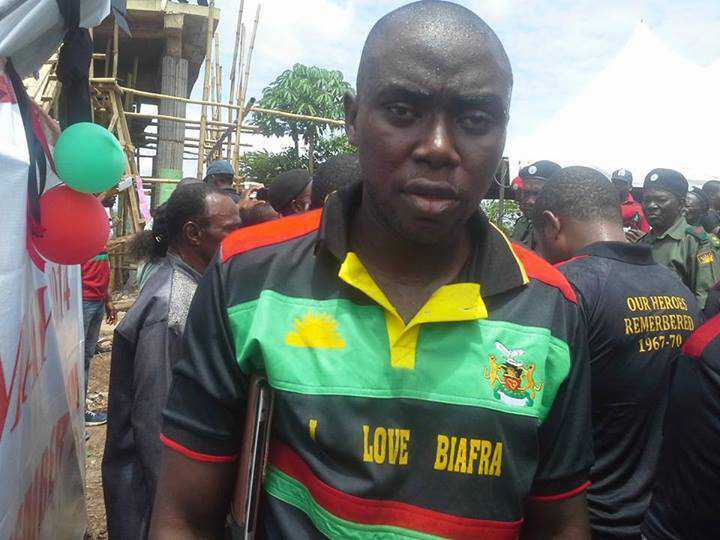 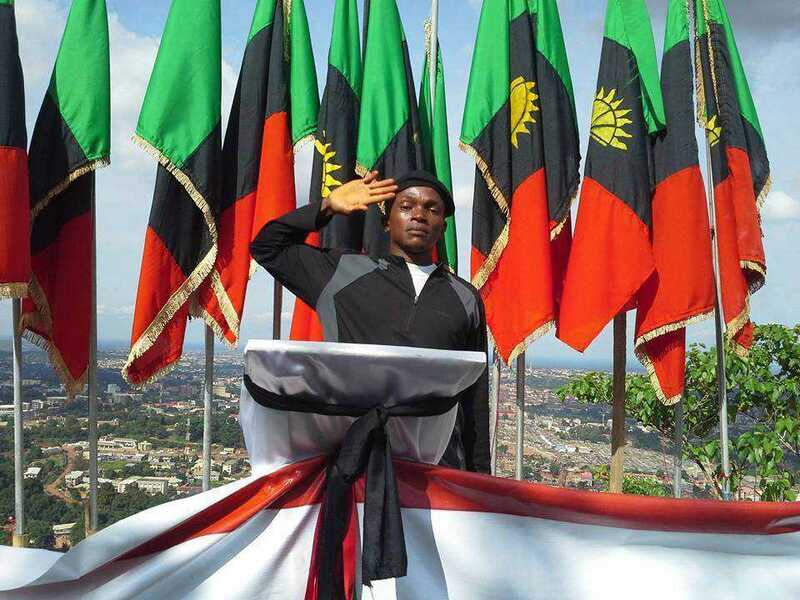 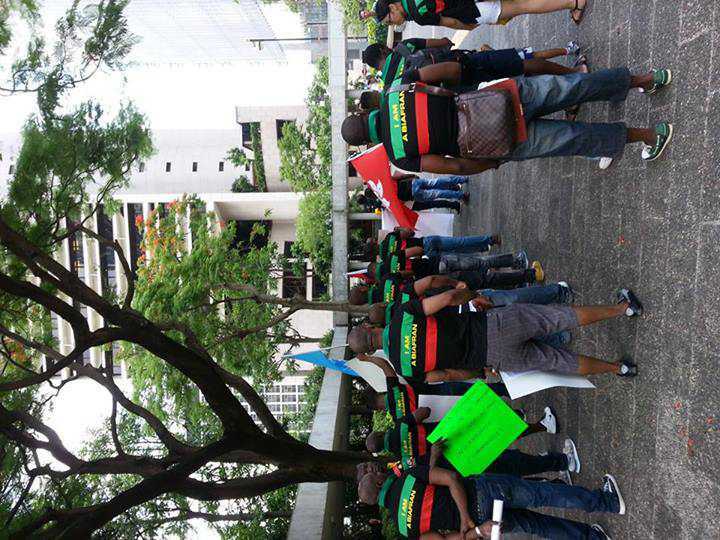 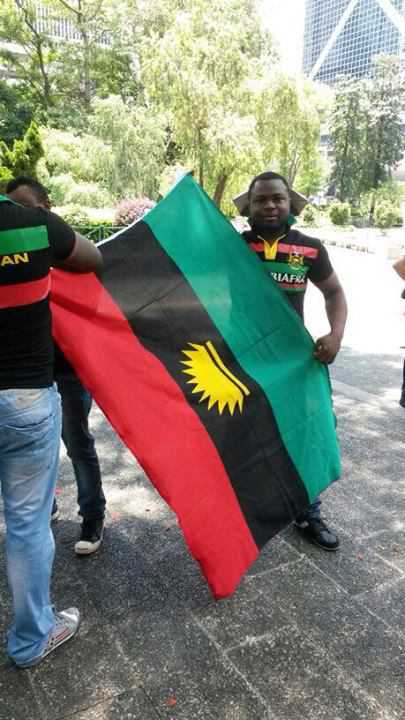 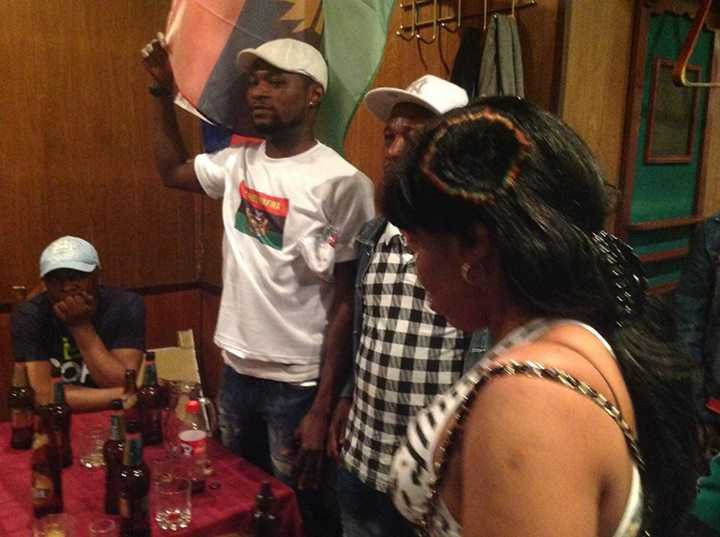 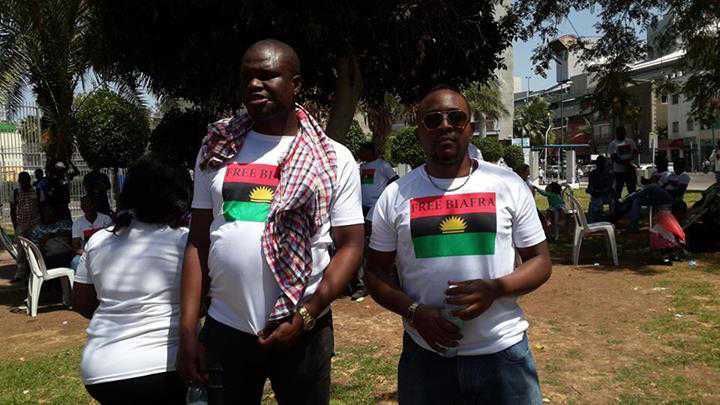 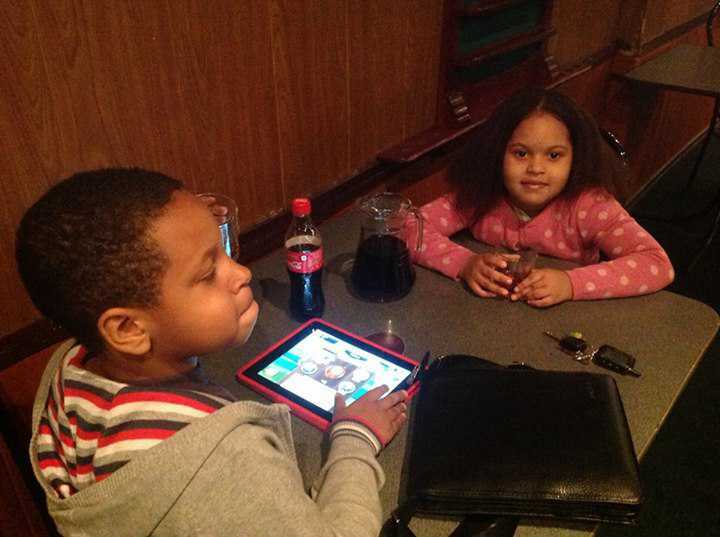 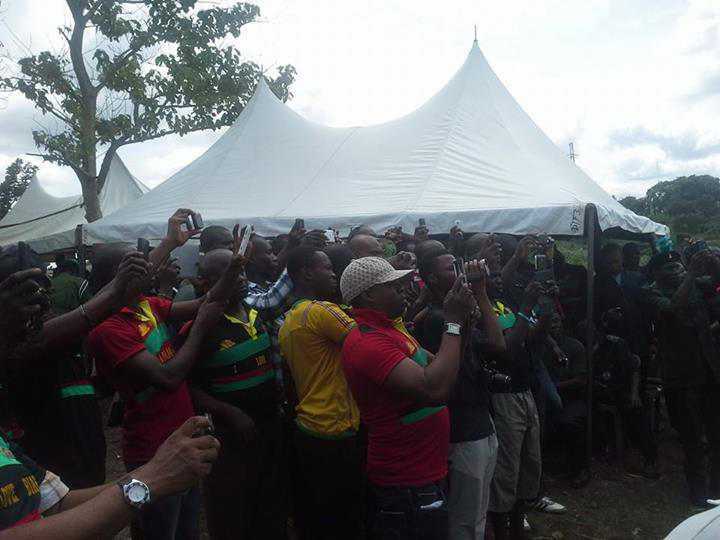 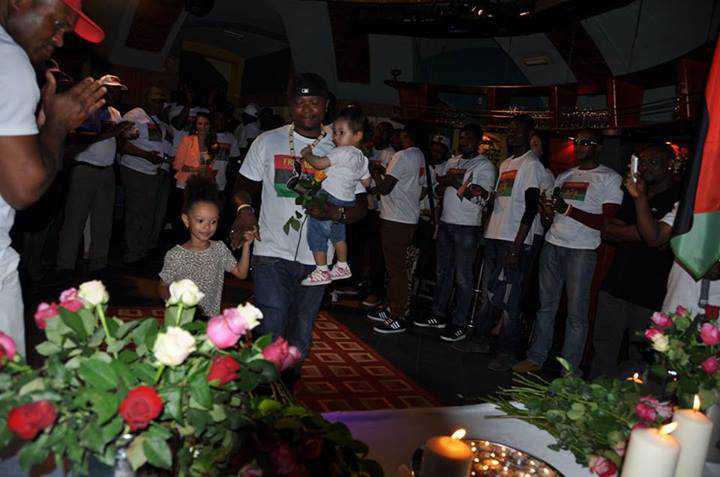 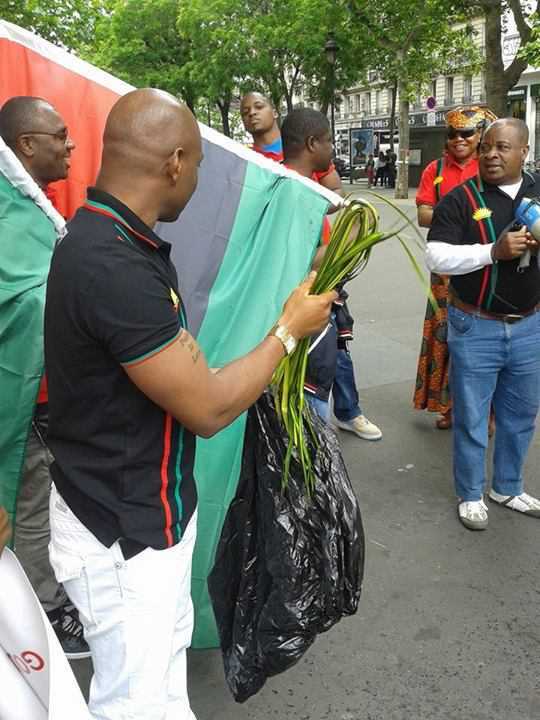 SHOULD BIAFRA SEPARATIST AGITATION BE SEEN AS AN DOMESTIC AFFAIR? 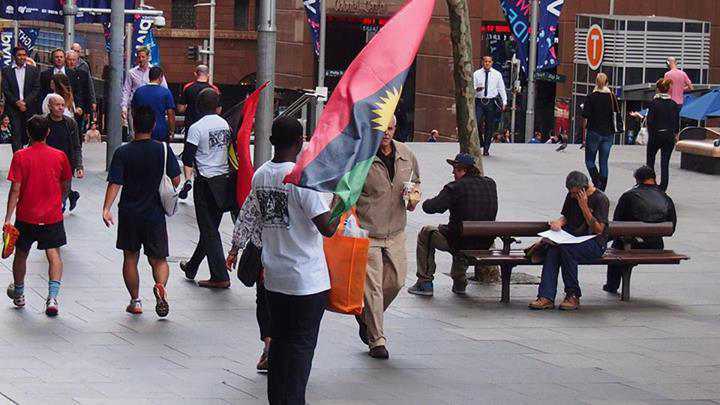 The United Nations declaration of the right of Indigenous People the world over in 2007 which was ratified in relevant charters and conventions, clearly spelt out the right of indigenous people groups to self determination. 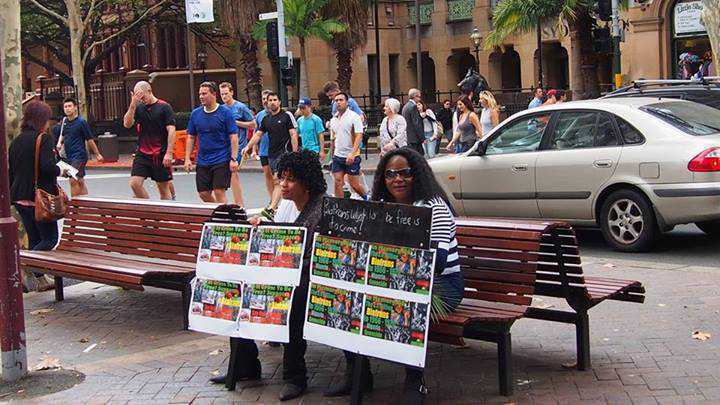 This is aimed at redefining their socio-political, economic and religious future from the trenches of colonialism, as the people willfully desire. 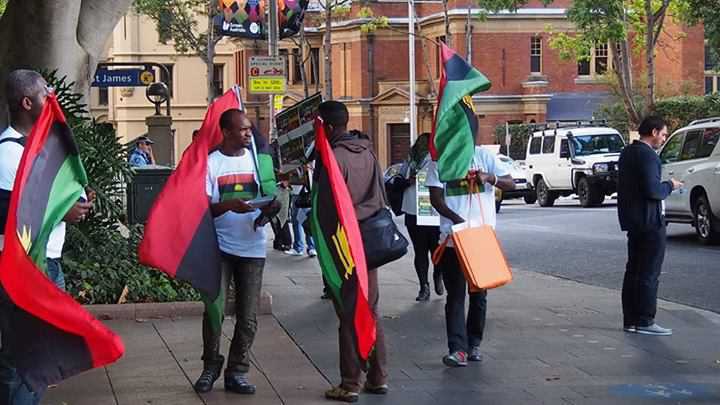 By that right as contained in the United Nations charter which Nigeria is a signatory to, all concerned indigenous populations have the legitimate right to demand for their homeland and be allowed the full status of nationhood, devoid of any form of external occupation. 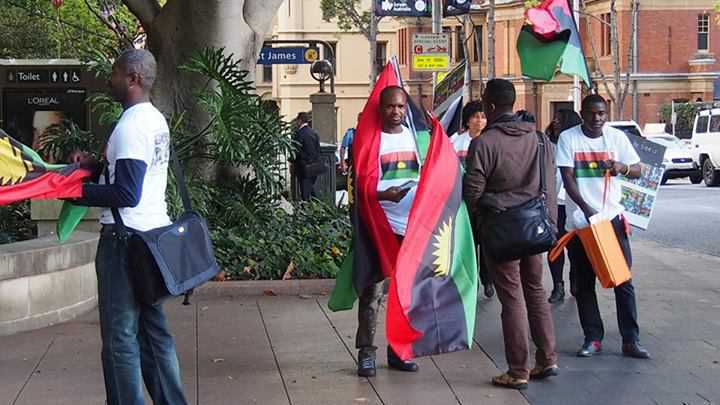 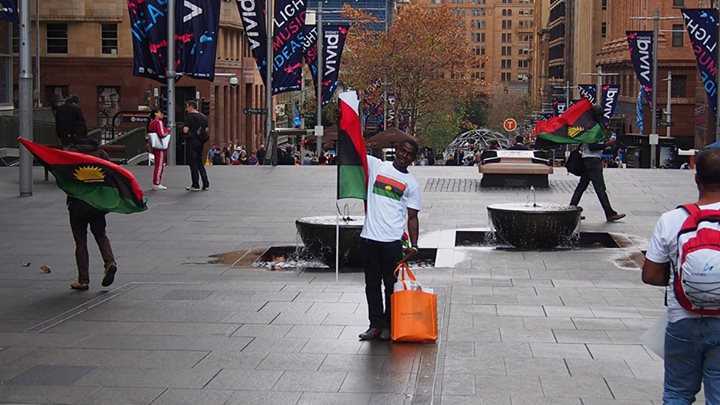 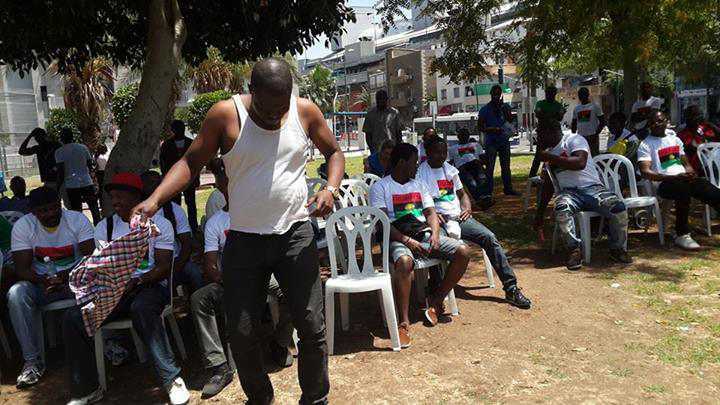 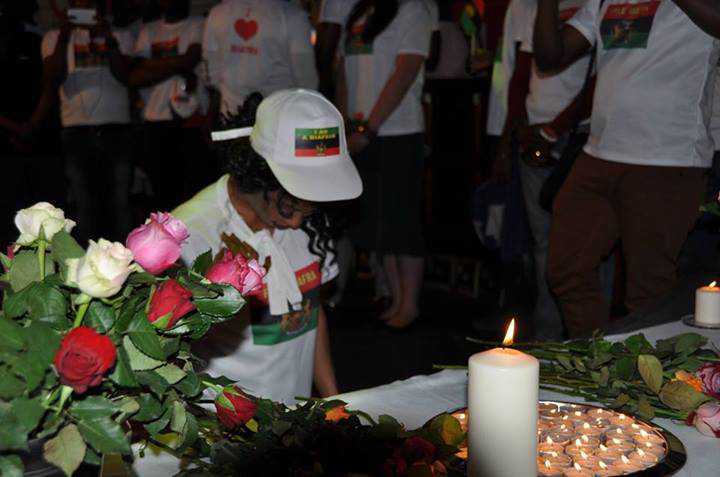 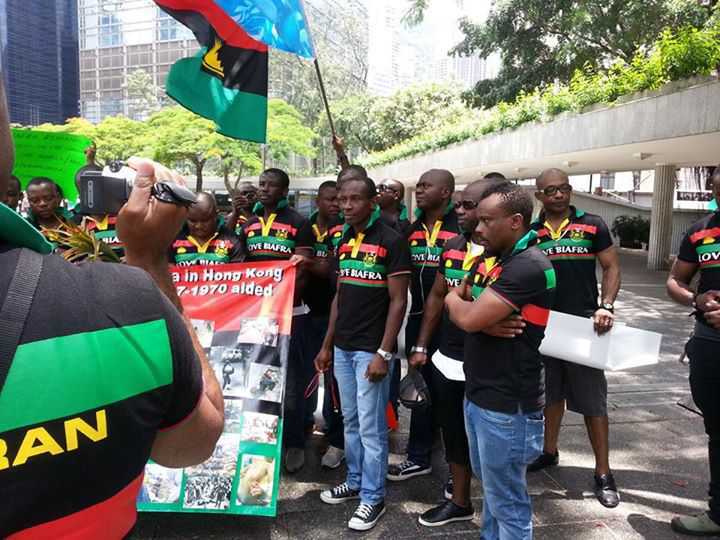 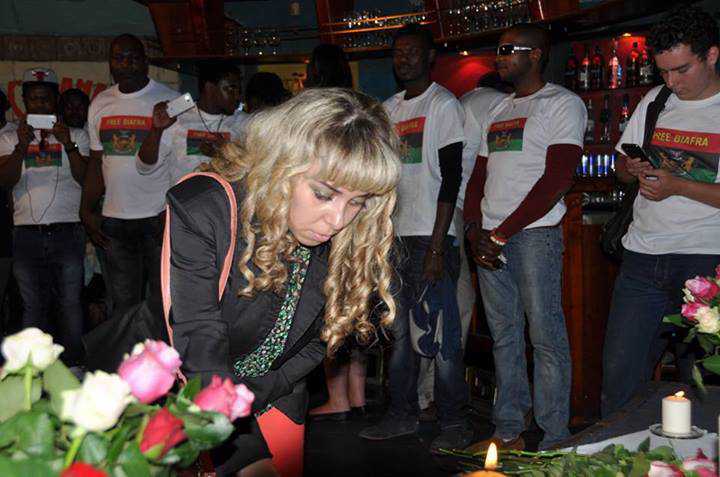 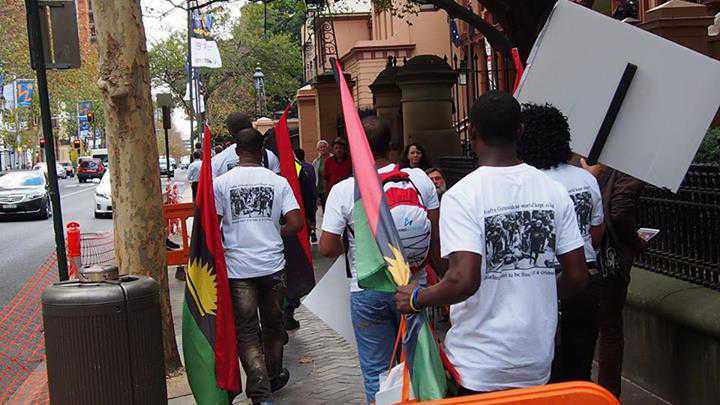 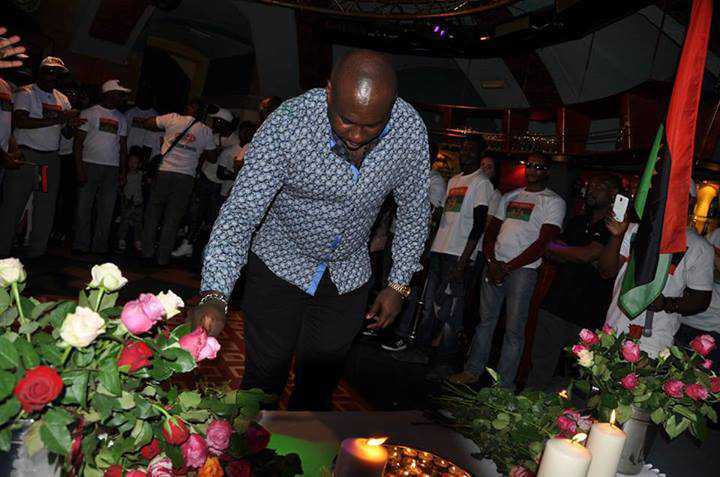 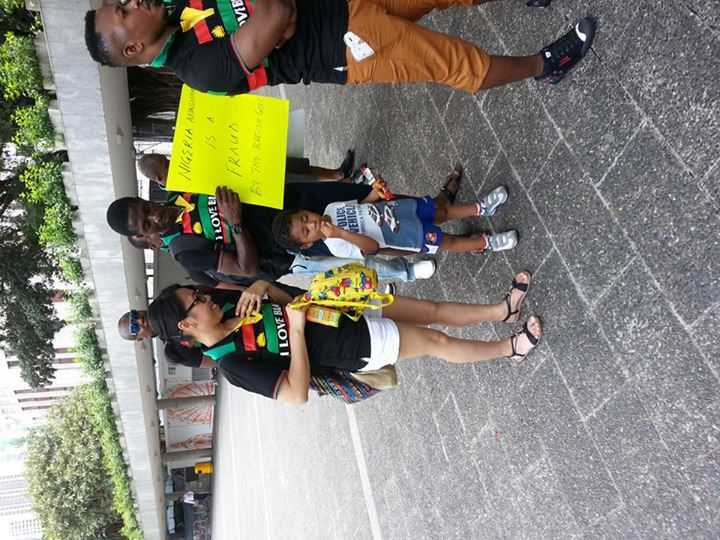 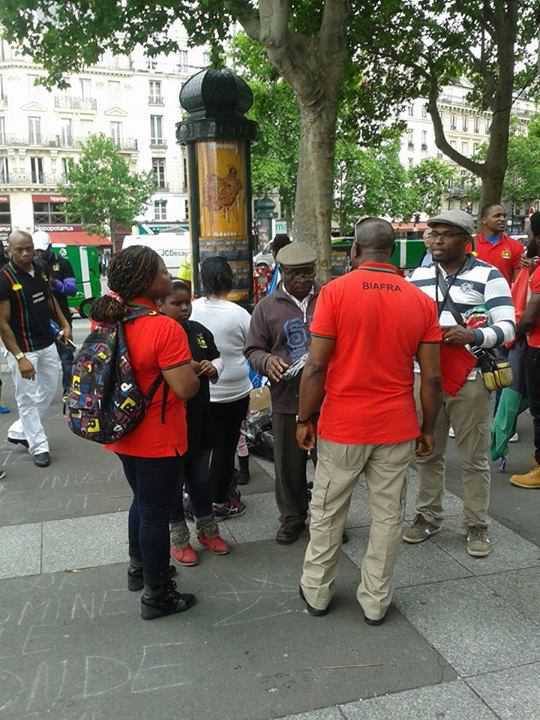 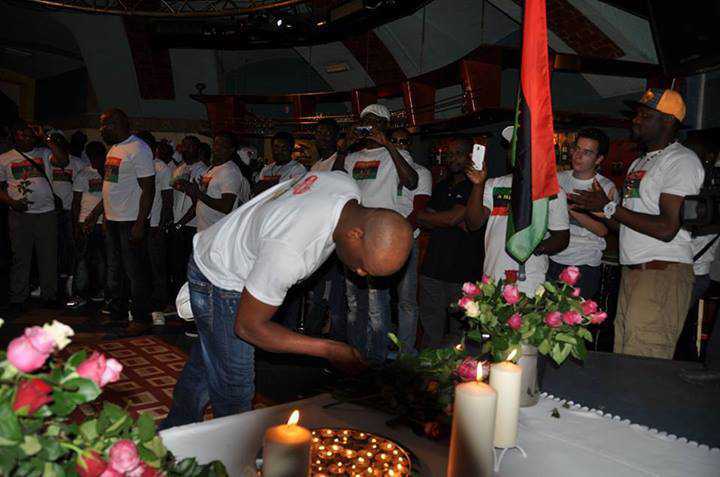 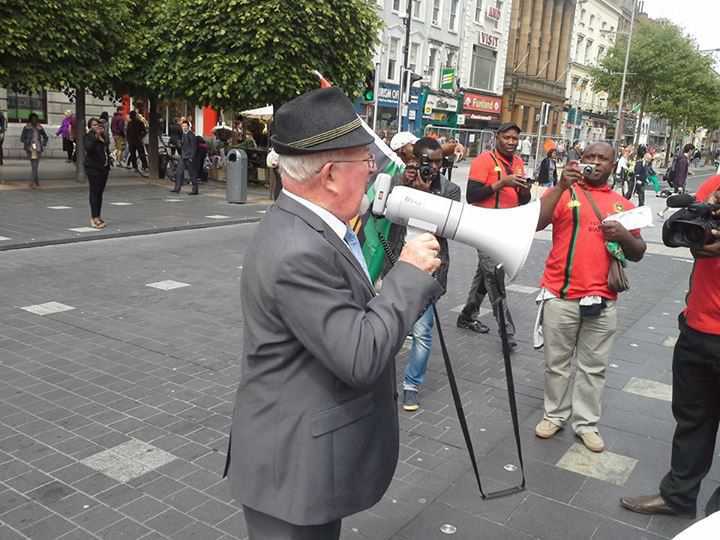 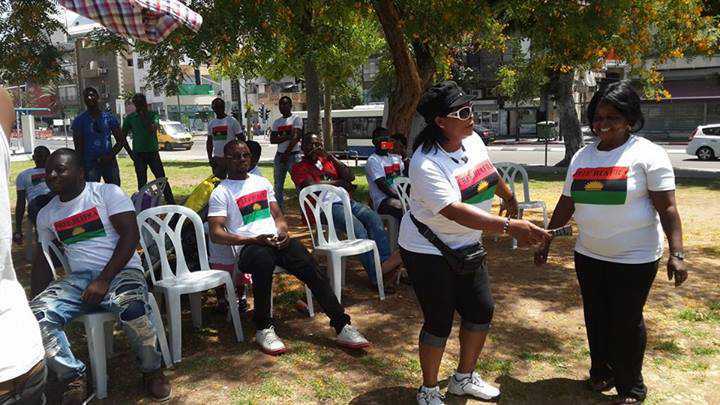 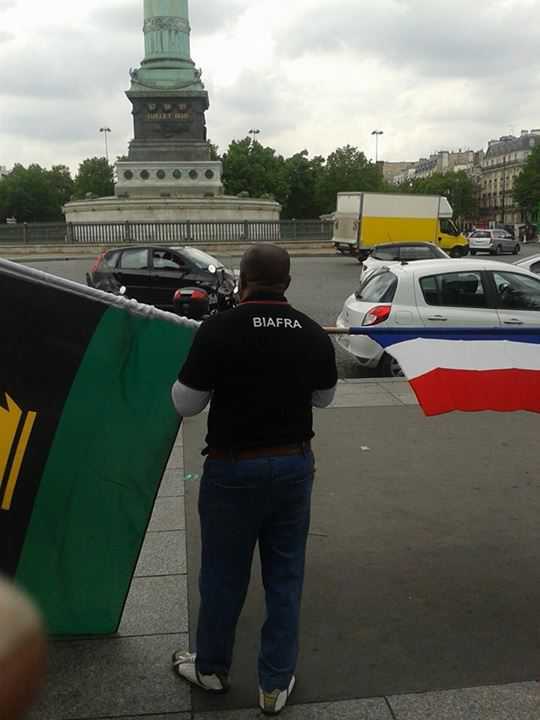 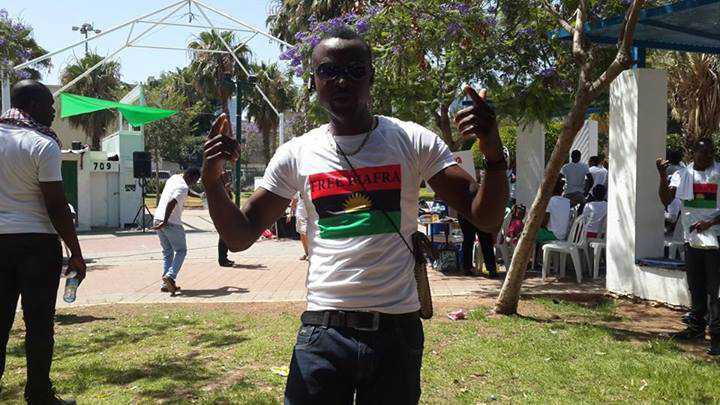 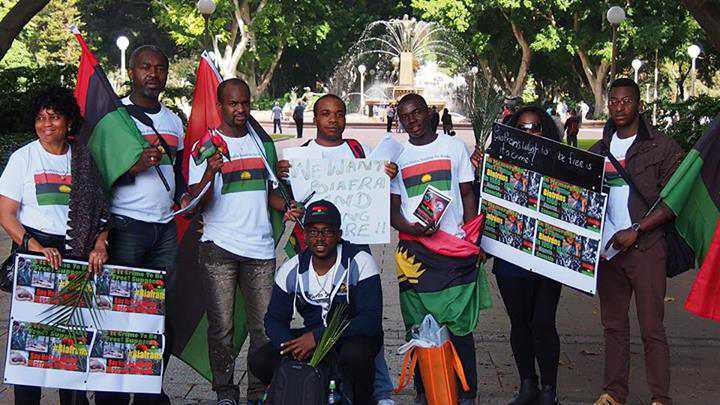 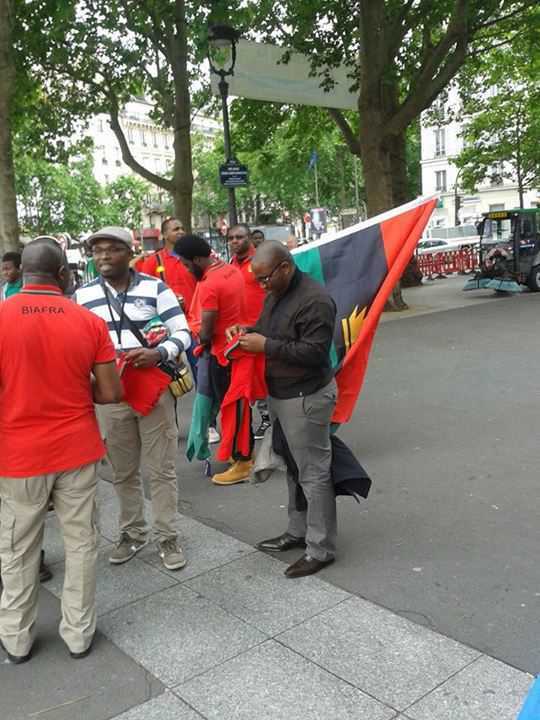 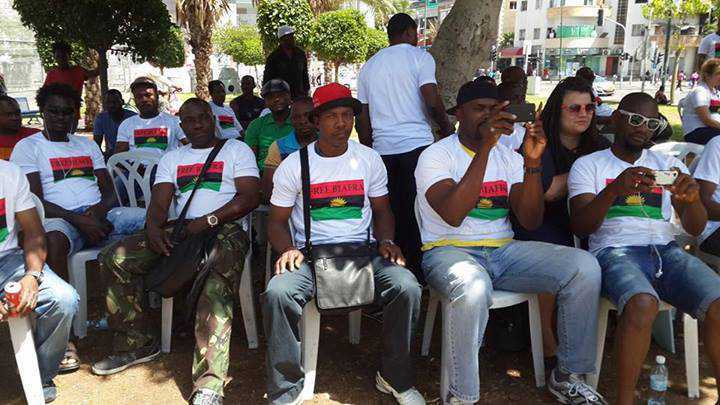 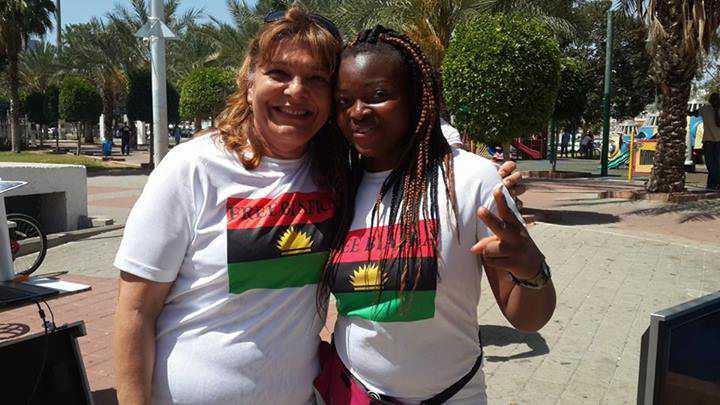 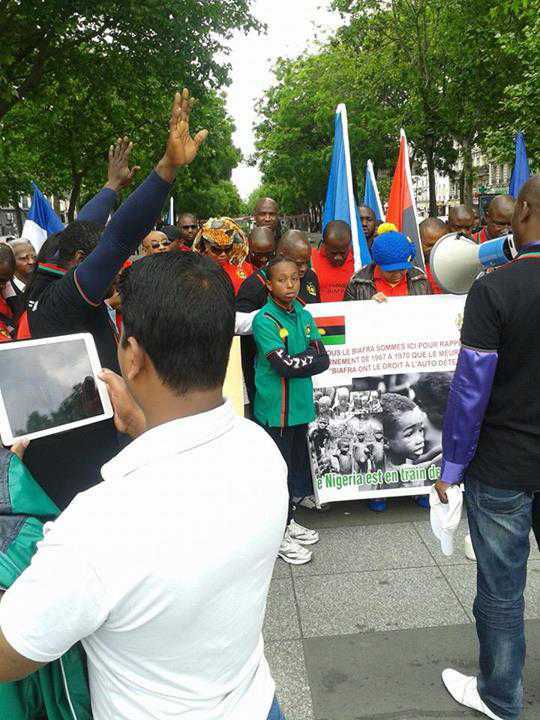 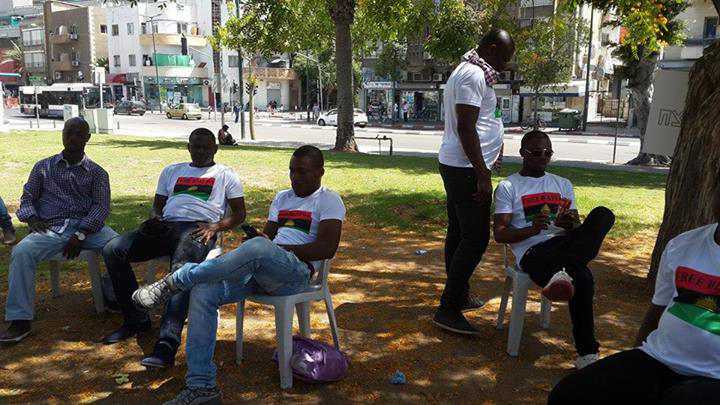 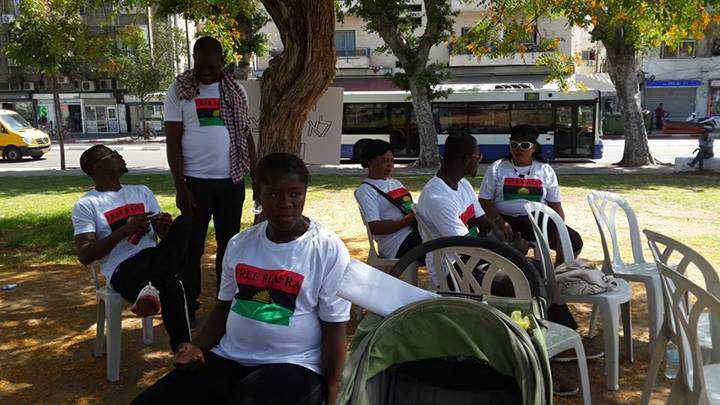 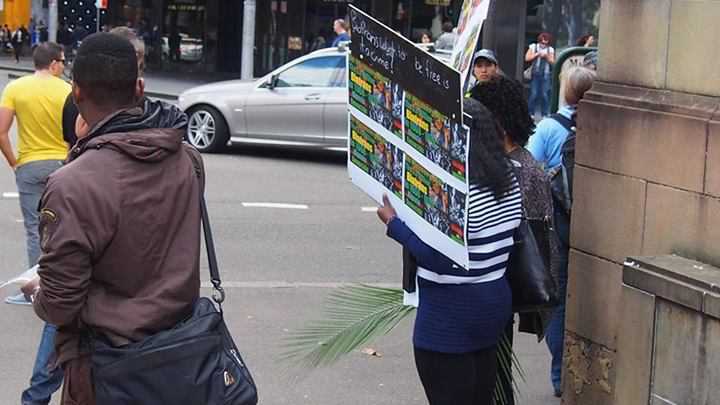 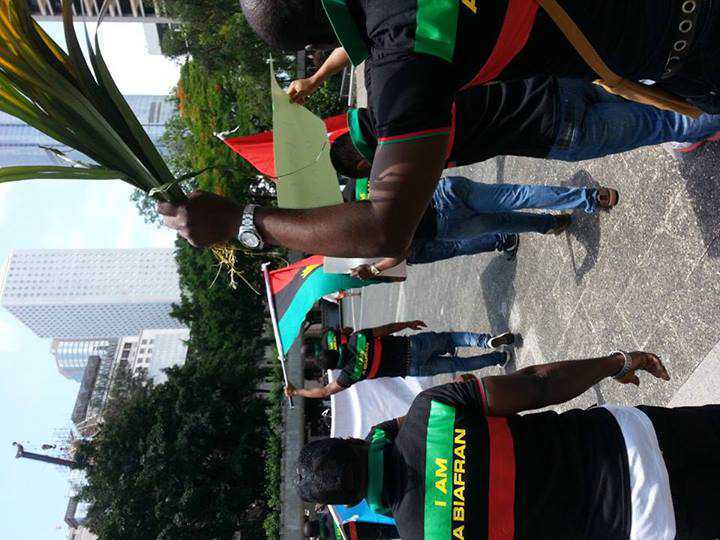 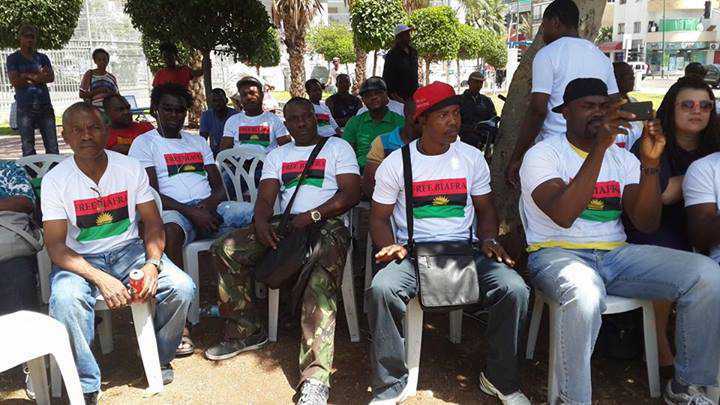 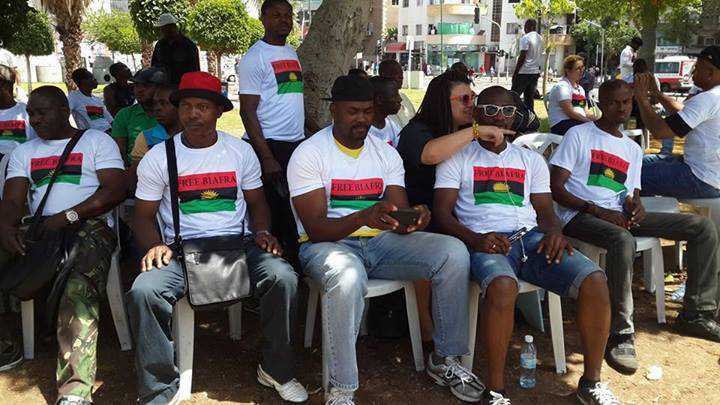 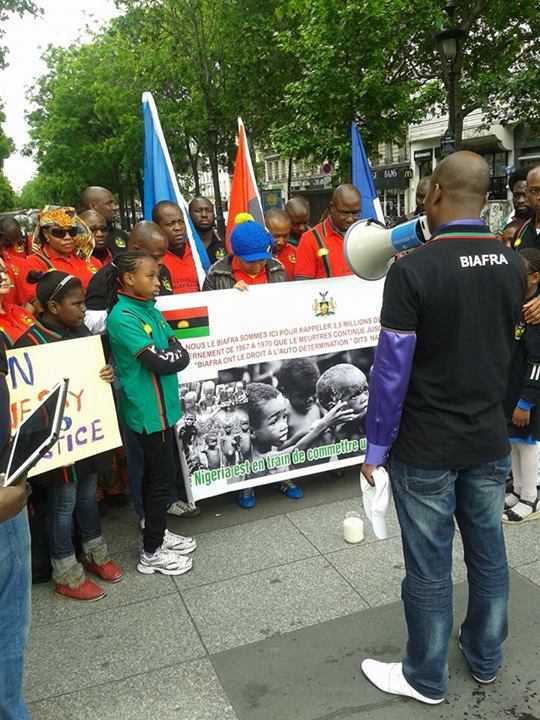 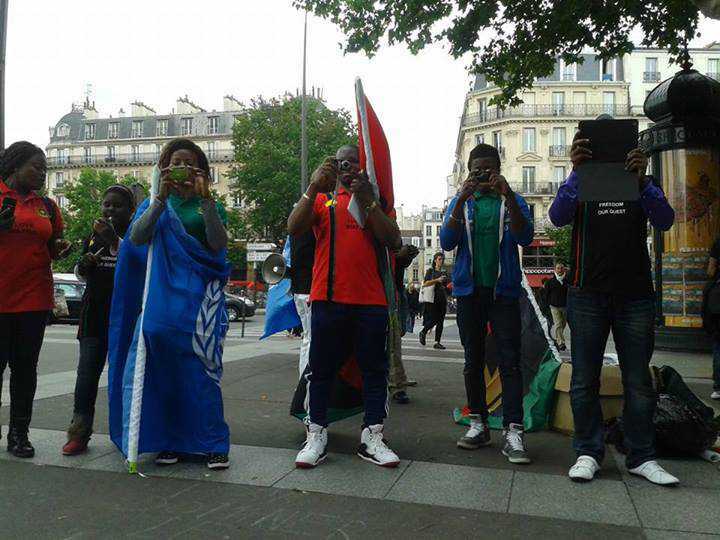 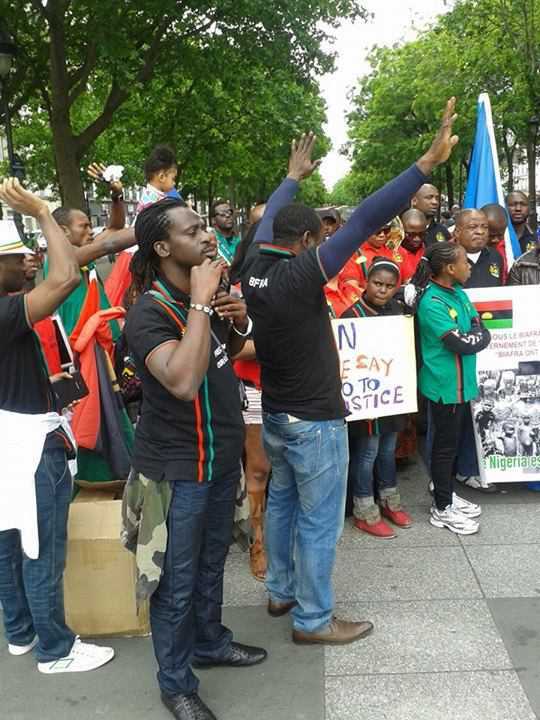 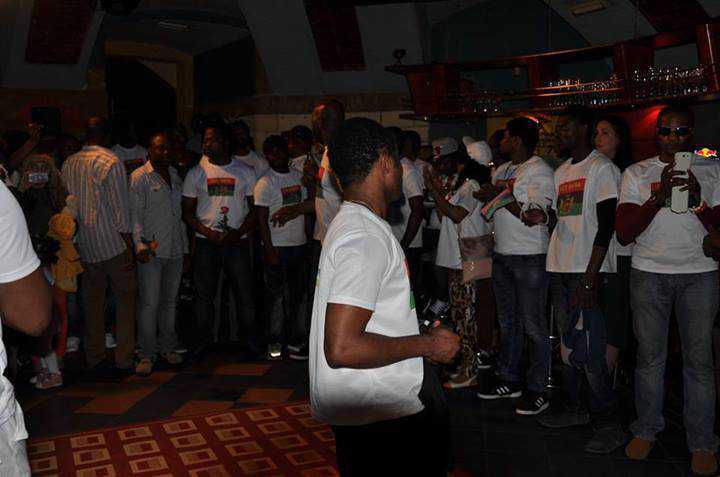 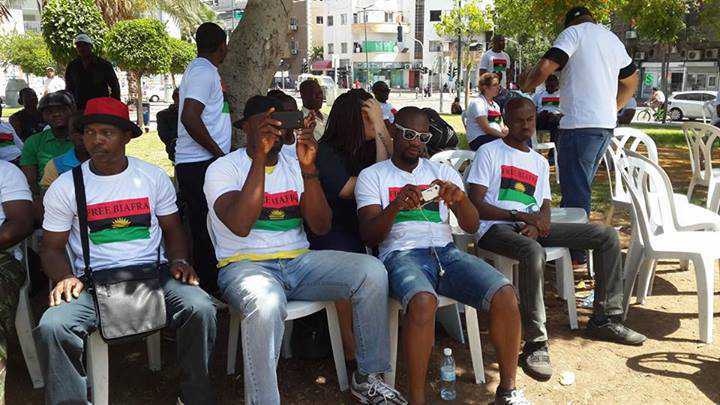 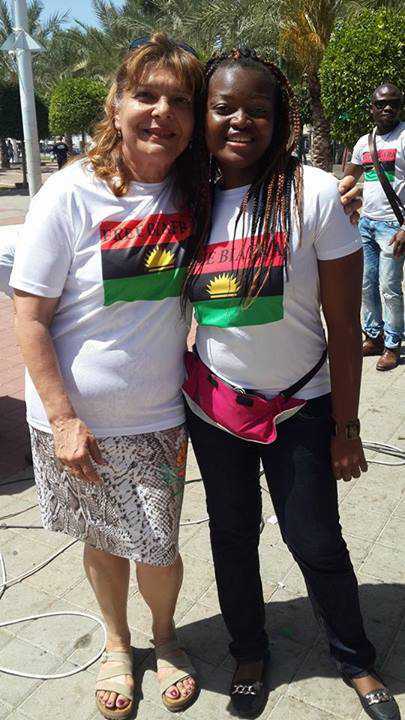 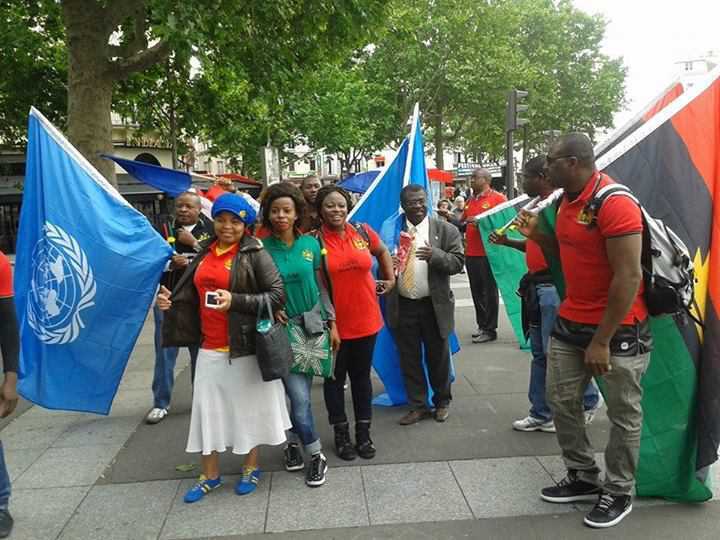 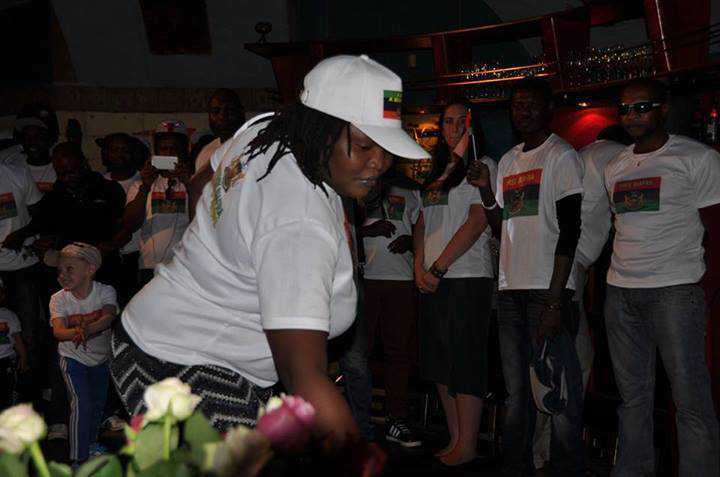 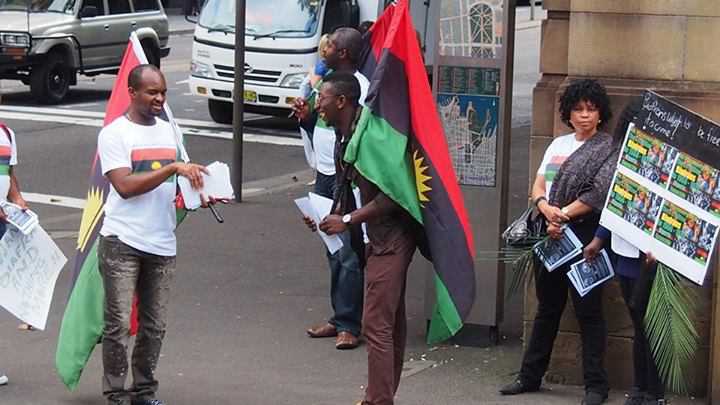 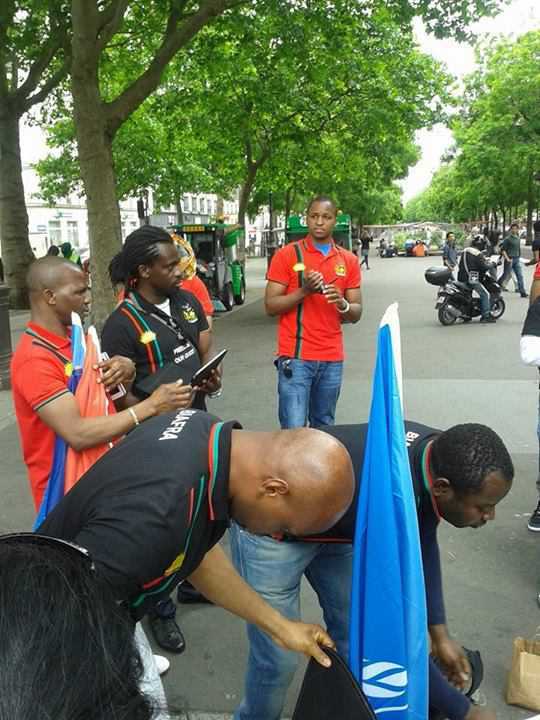 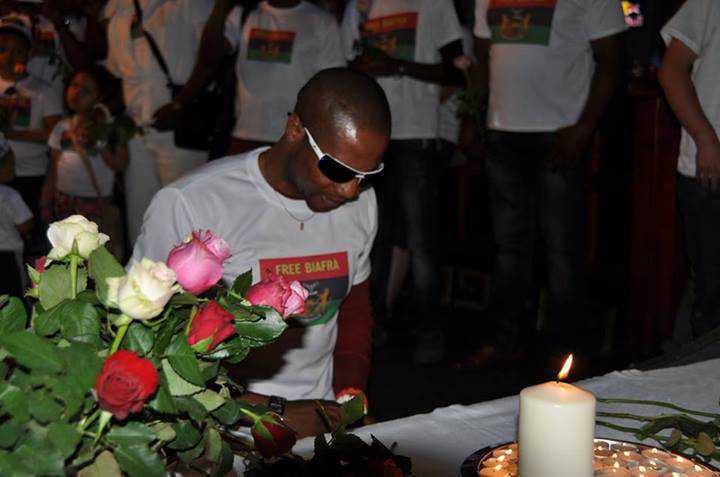 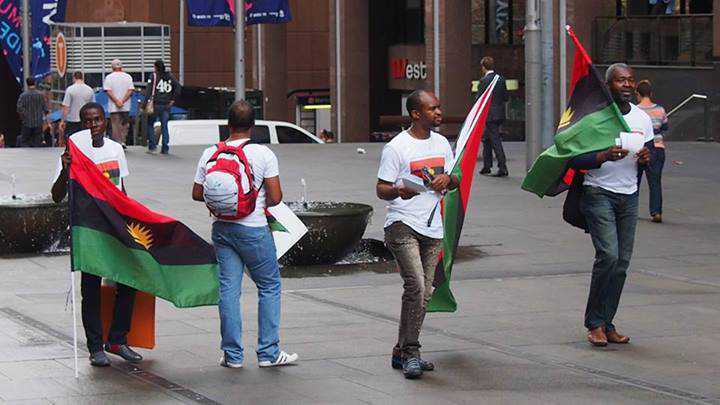 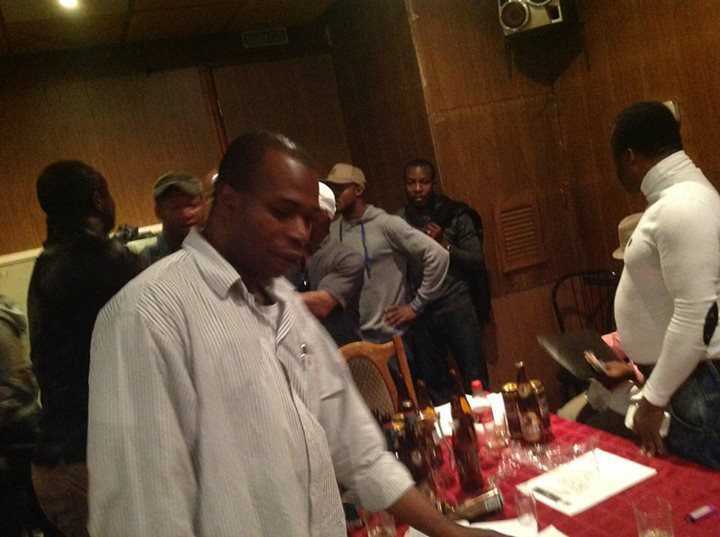 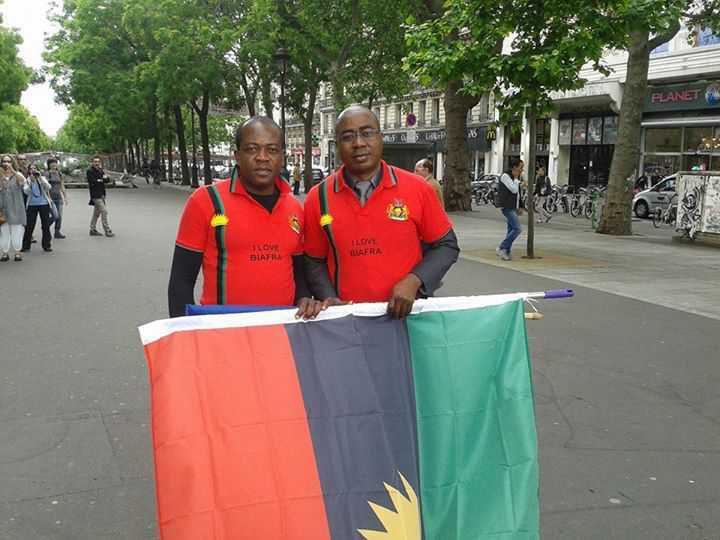 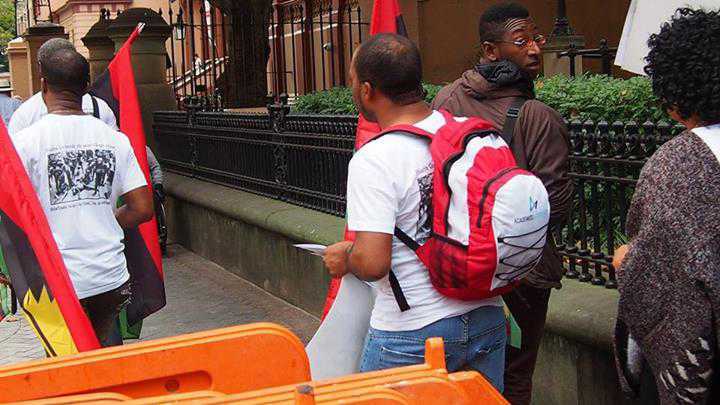 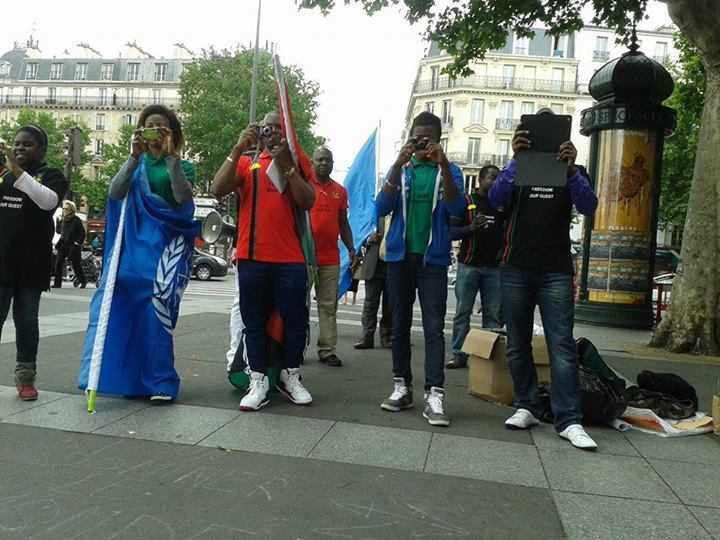 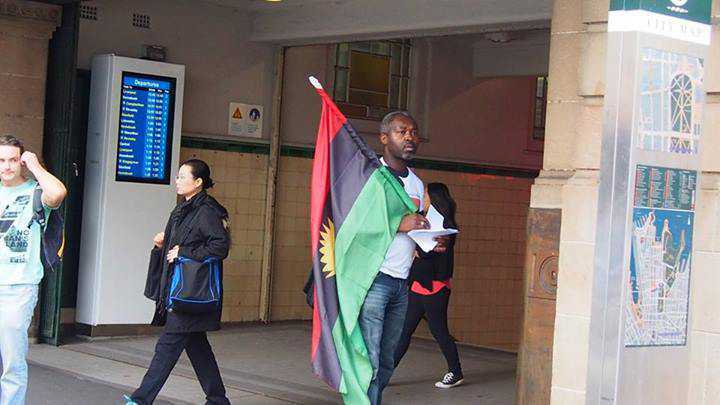 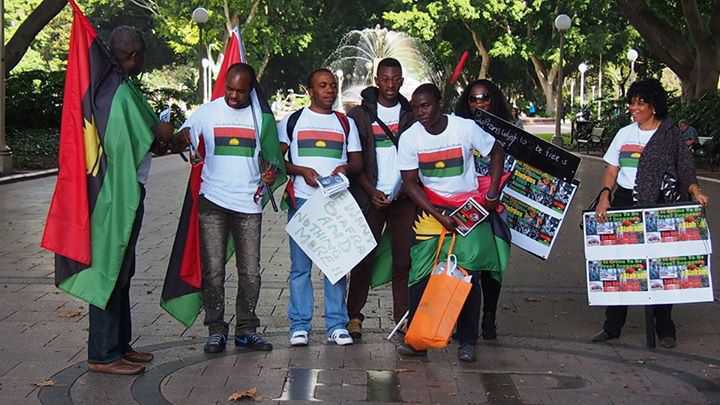 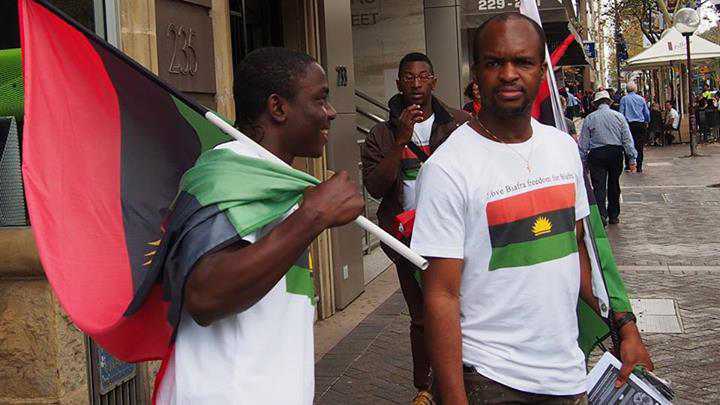 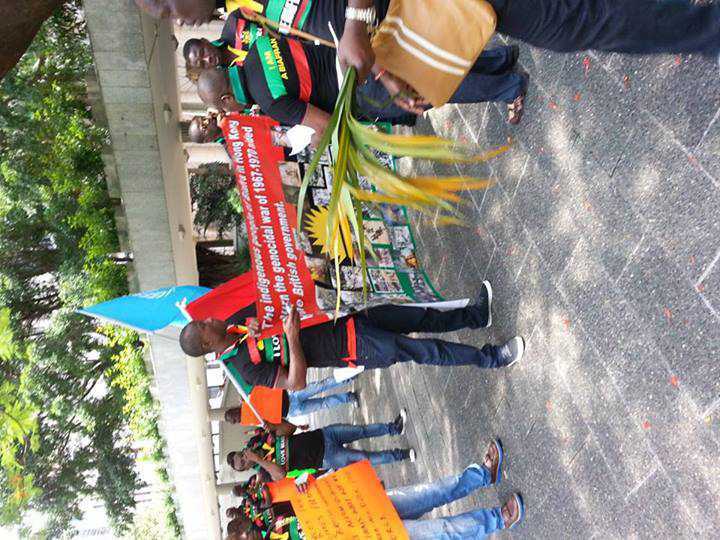 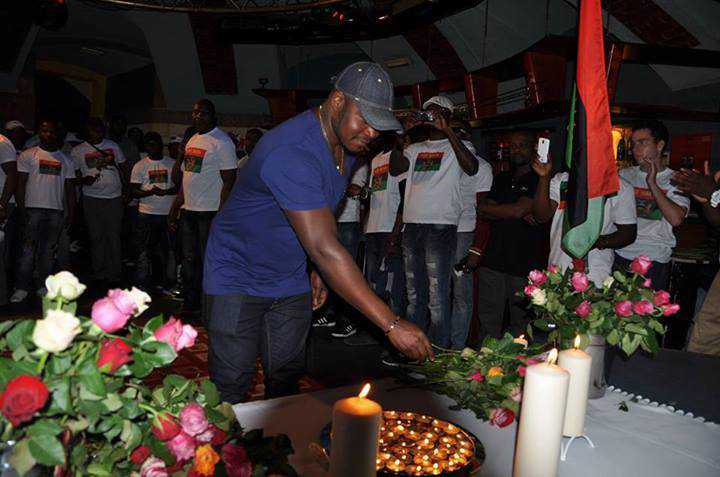 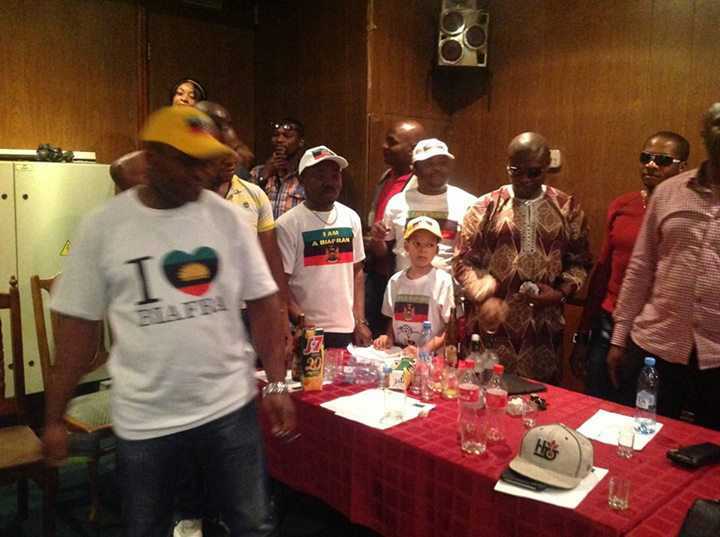 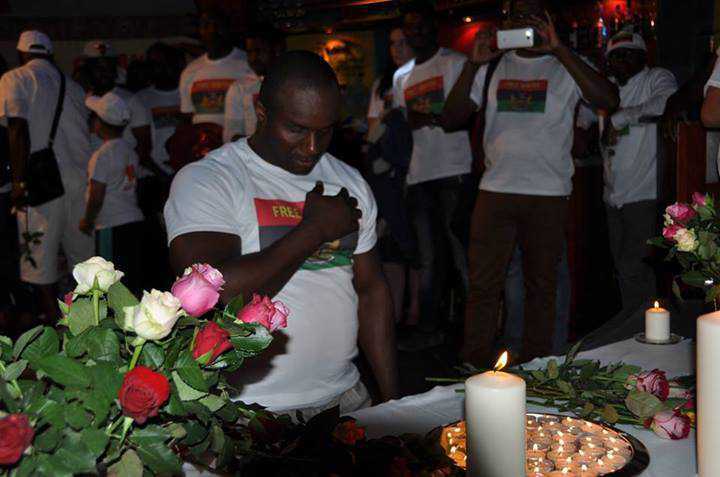 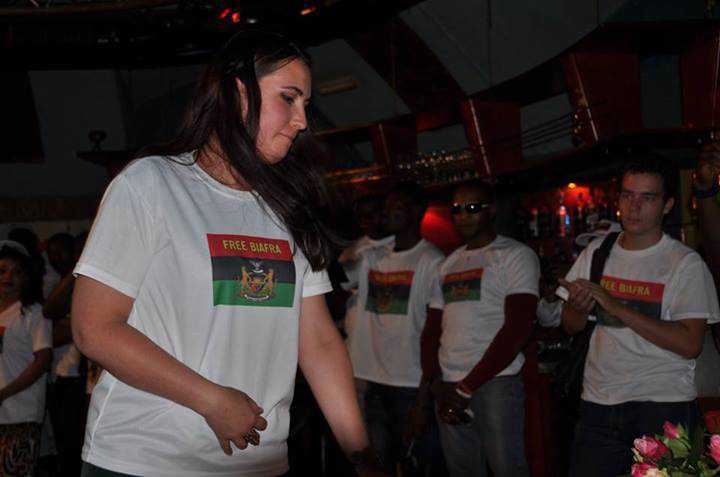 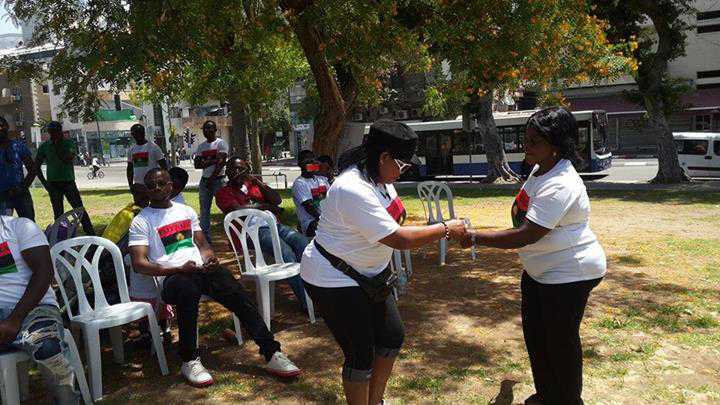 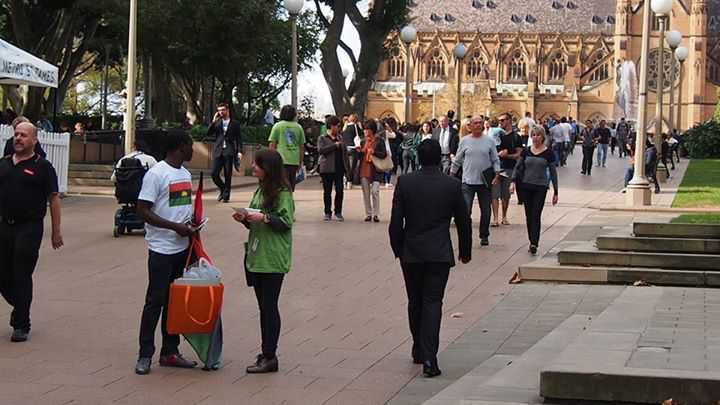 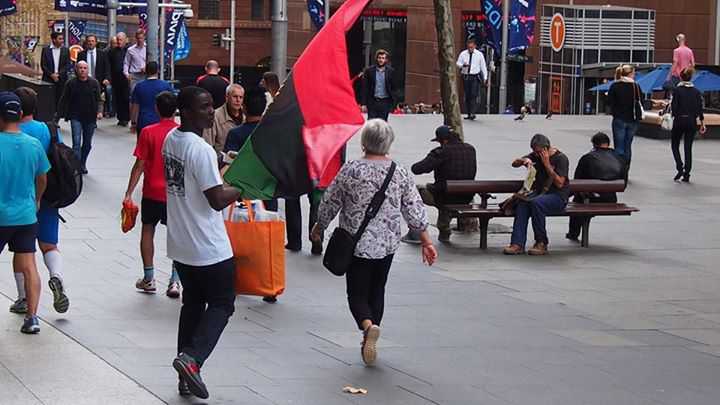 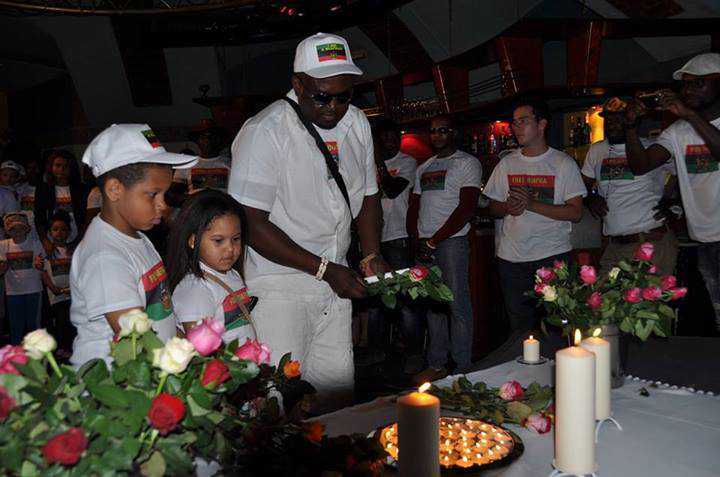 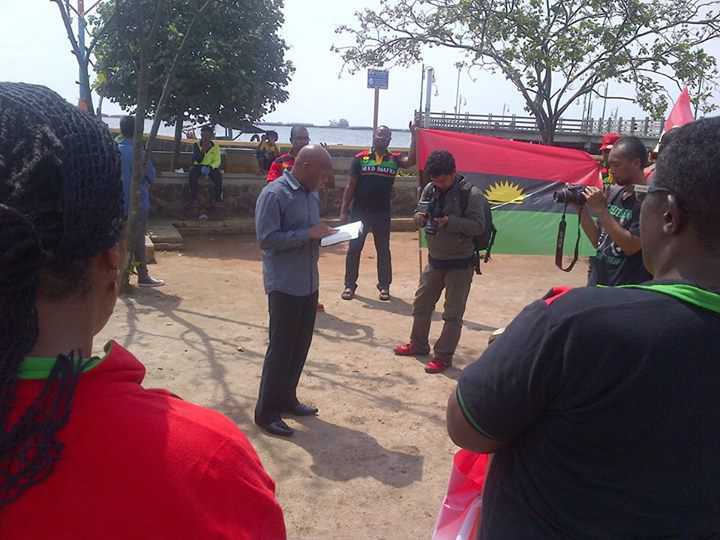 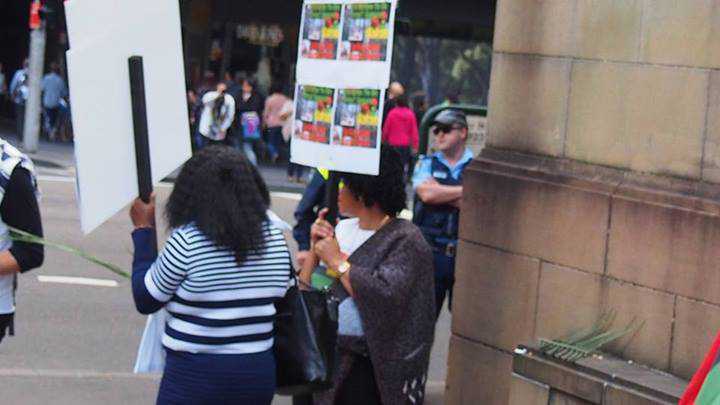 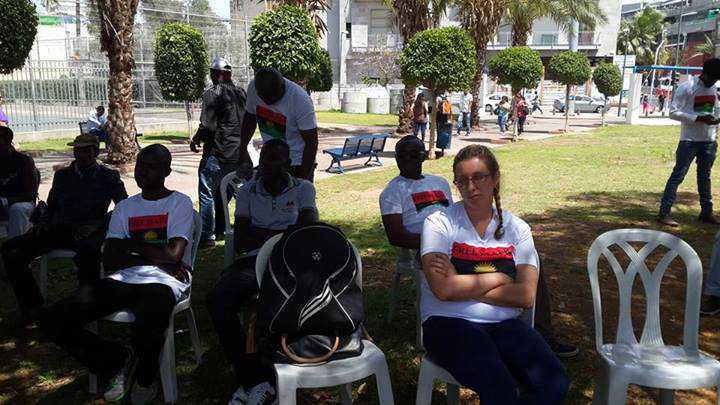 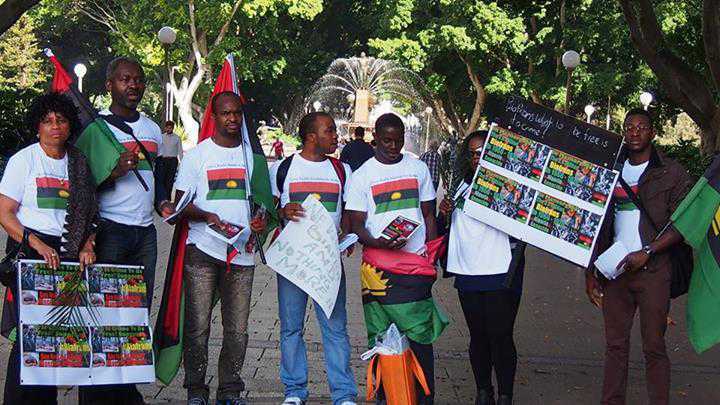 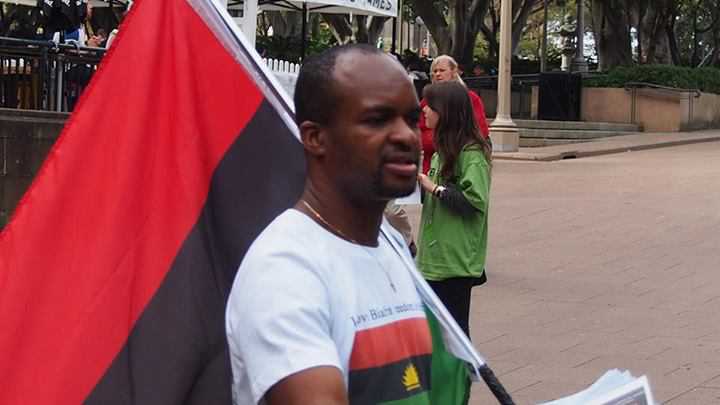 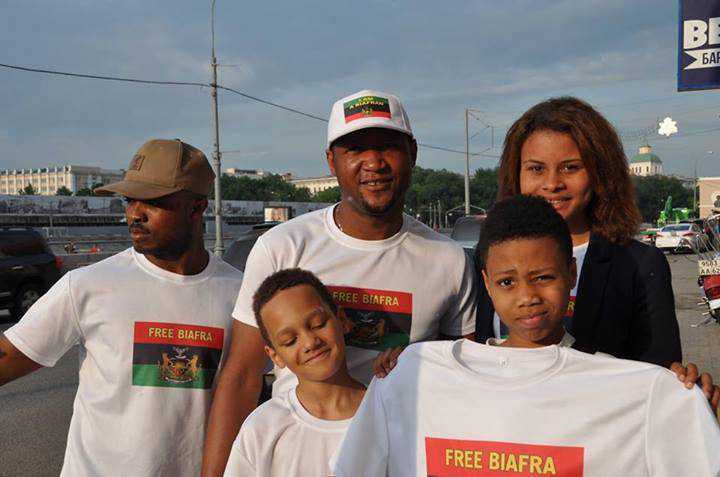 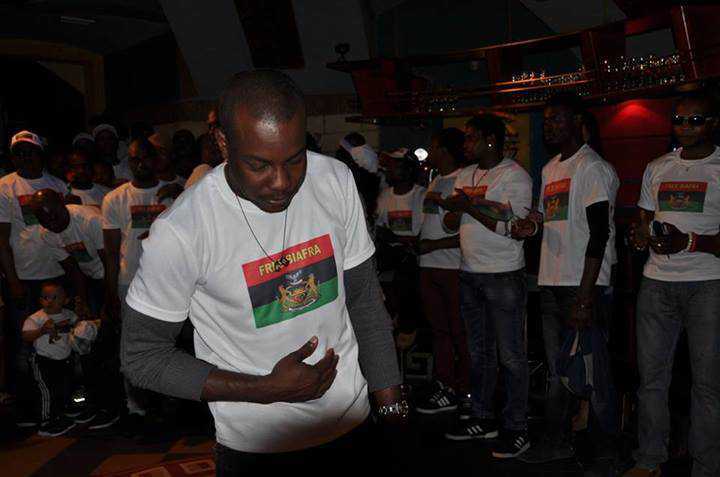 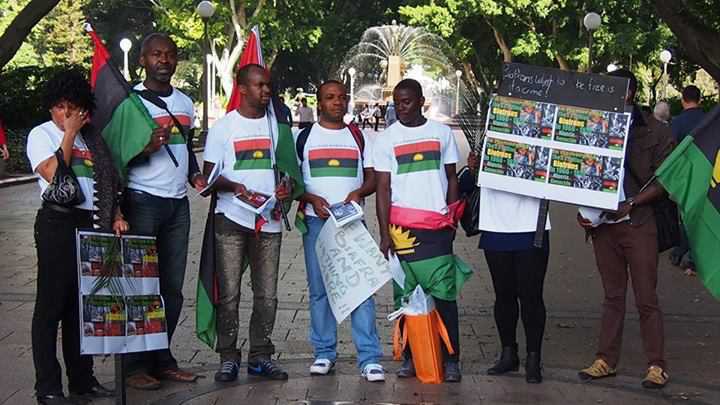 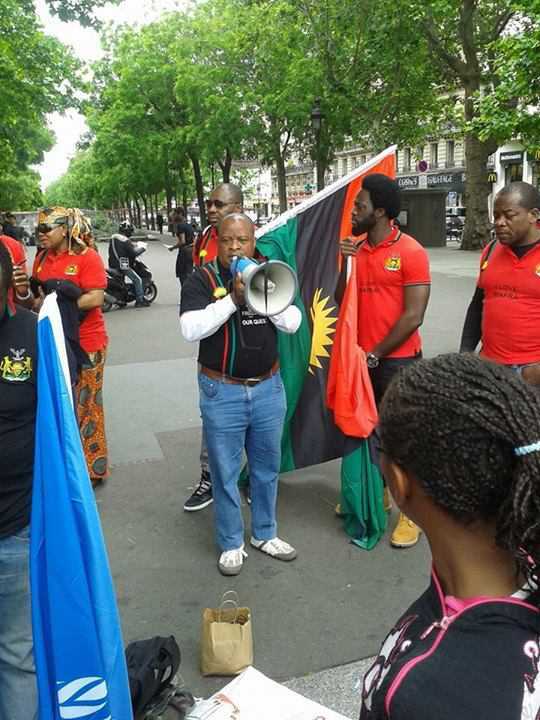 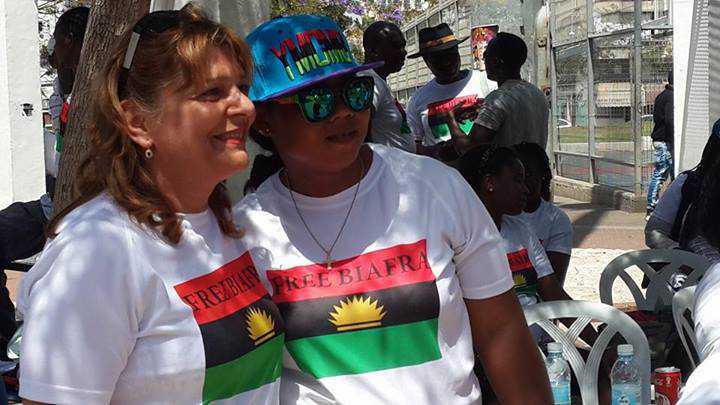 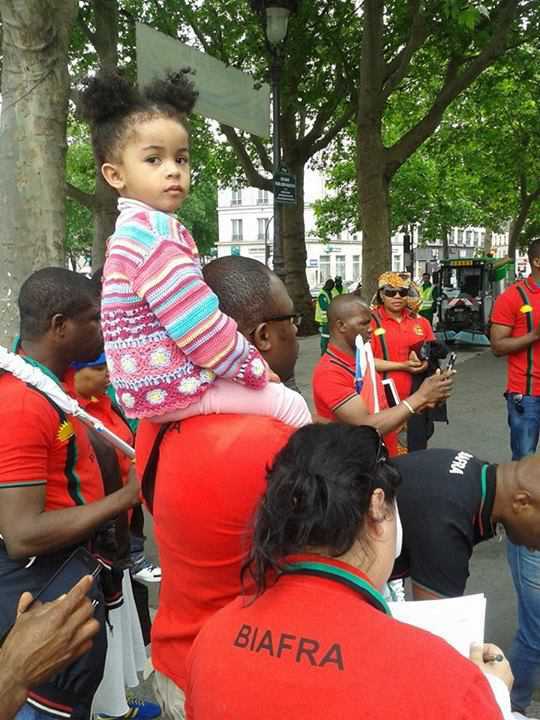 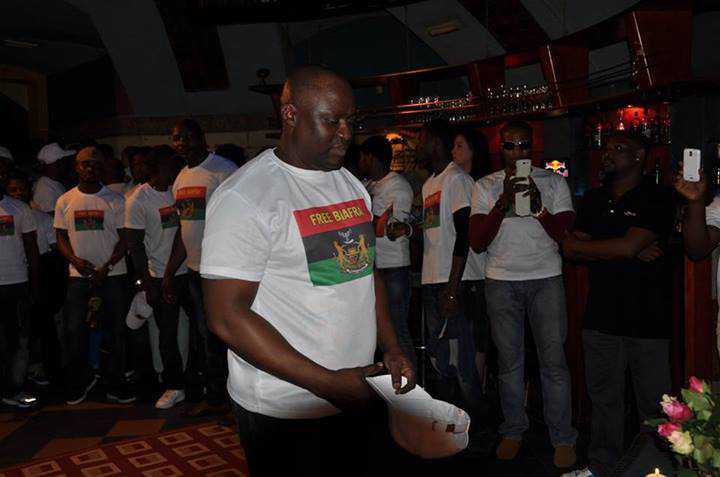 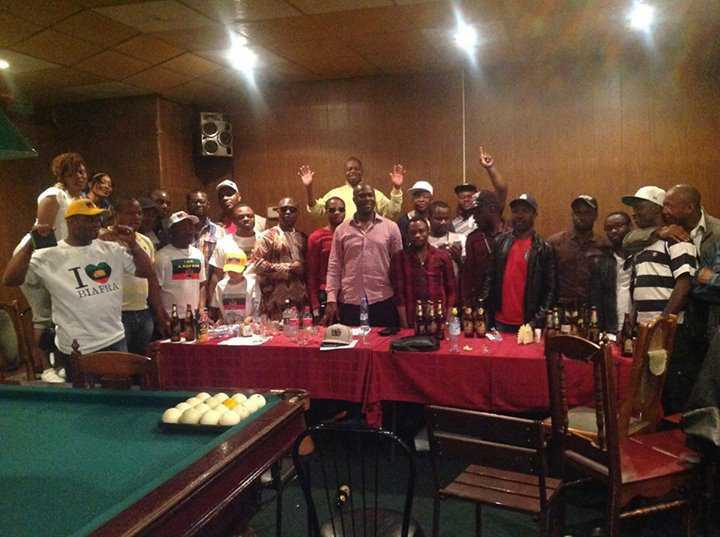 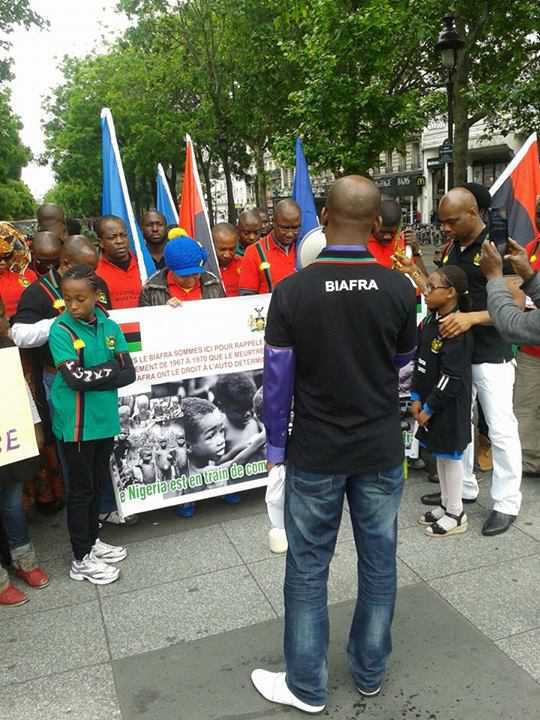 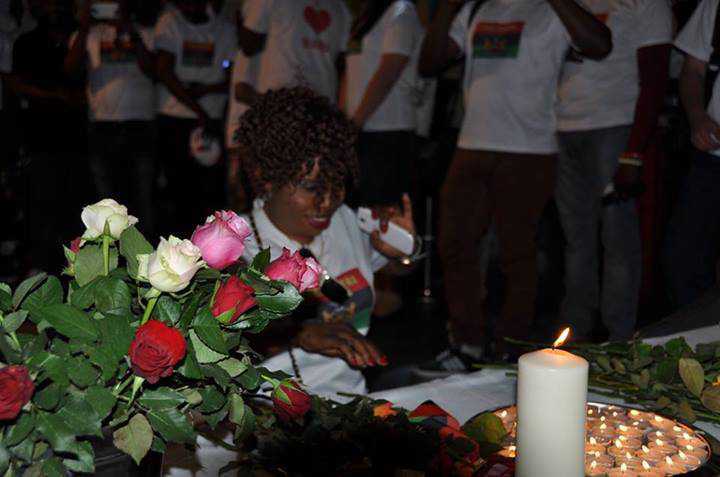 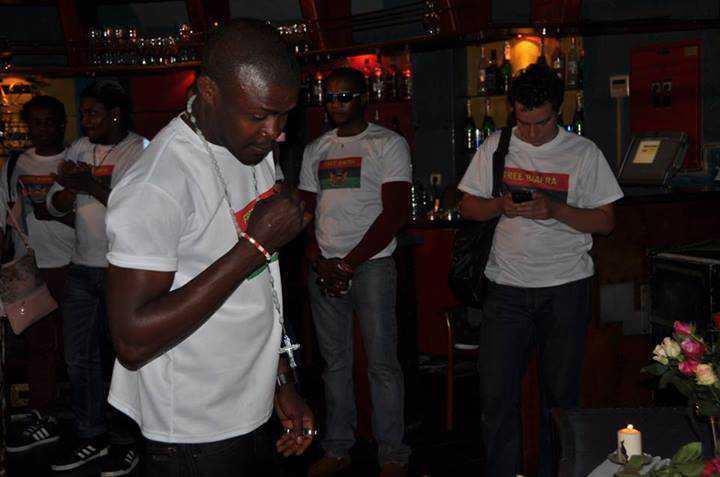 It is in exercising this international right that the Indigenous People of Biafra (IPOB) globally, ably led by Mazi Nnamdi Kanu, is strongly pushing for the restoration of the sovereign nation of Biafra in the West African sub-region. 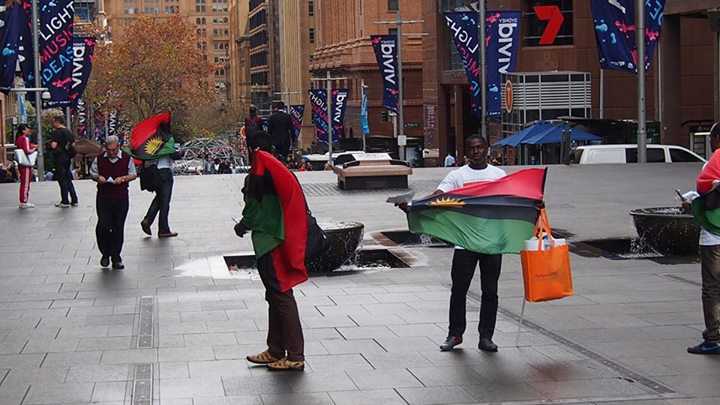 Biafra is an ancient nation which the original map of Africa dated 1315 AD, contained alongside Egypt, Sudan, Bengura, Zegzag, Benin, Senegambia, Wind Coast, Volta territories, Zamfara and many others. 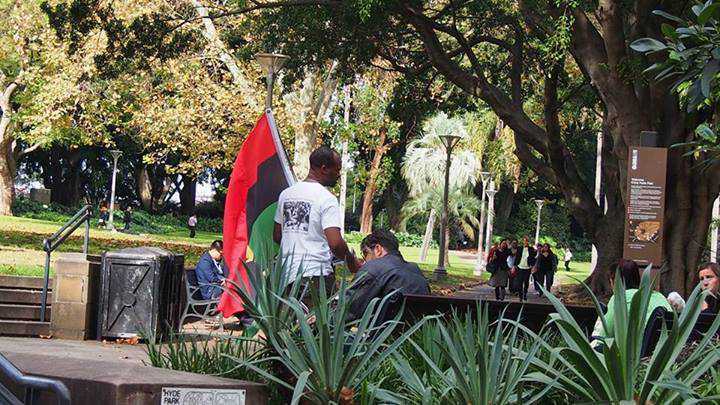 Unfortunately, the ancient Biafran nation was twice invaded and her sovereignty, forcefully taken away by the ravaging occupation forces. 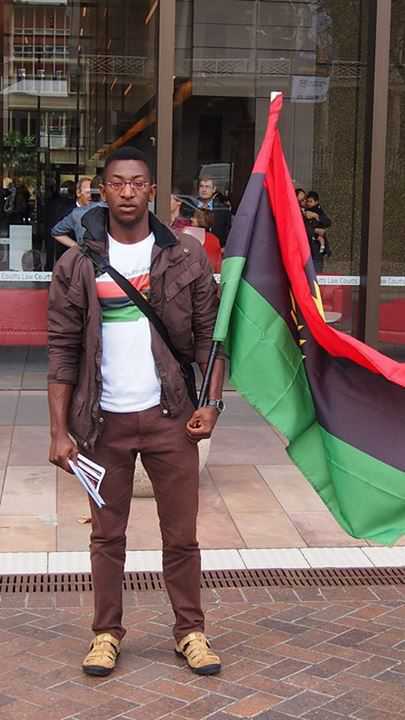 Biafra first lost her ancient sovereignty in 1900 AD, when the British Southern Protectorate was established in West Africa by the colonial hitmen led by Major A. Clover, together with Oduduwaland which was then, part of the ancient nation of Benin. 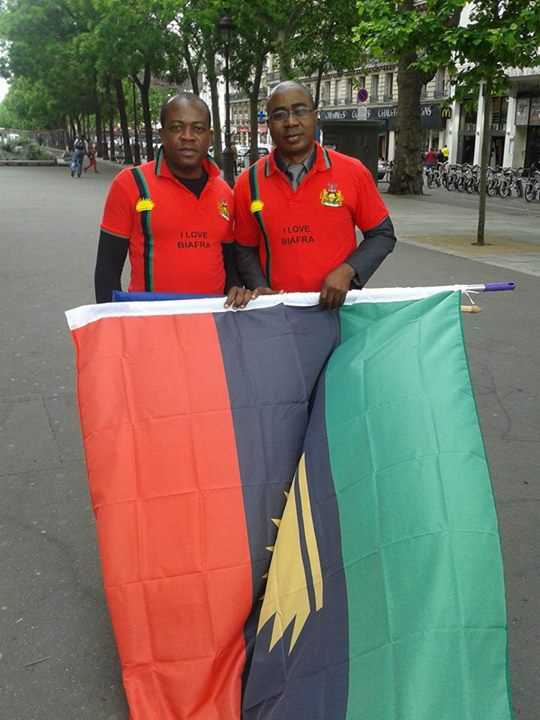 This stretched to the present day Benin Republic and Togo. 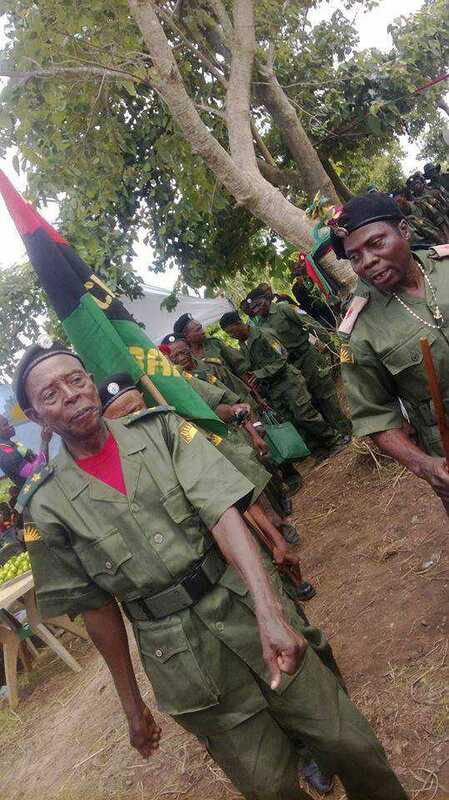 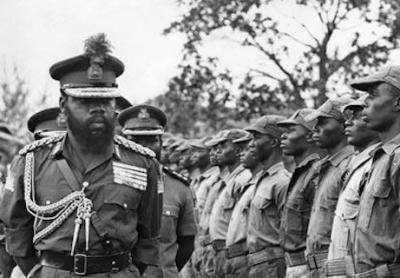 When the British colonial merchants eventually left in 1960, the Biafran generation of that time led by former Nigerian army officer of Biafran extraction, late General Chukwuemeka Odimegwu Ojukwu, attempted to have the lost Biafra sovereignty restored and that led to the genocidal war levied against the people by the Nigerian government. 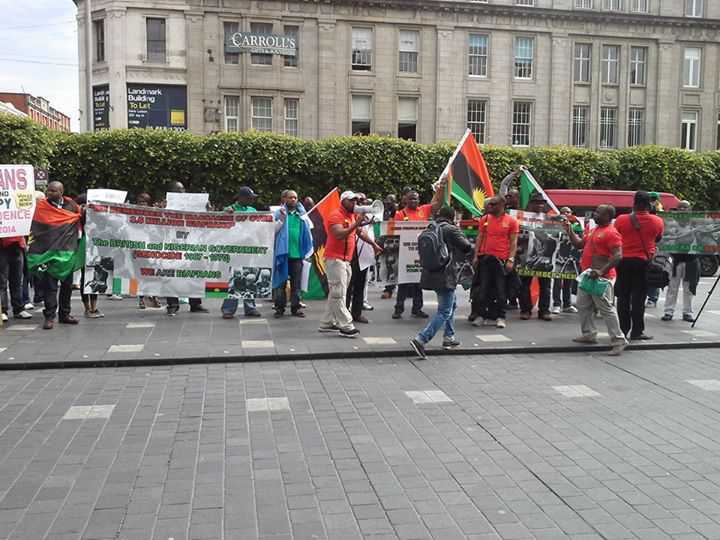 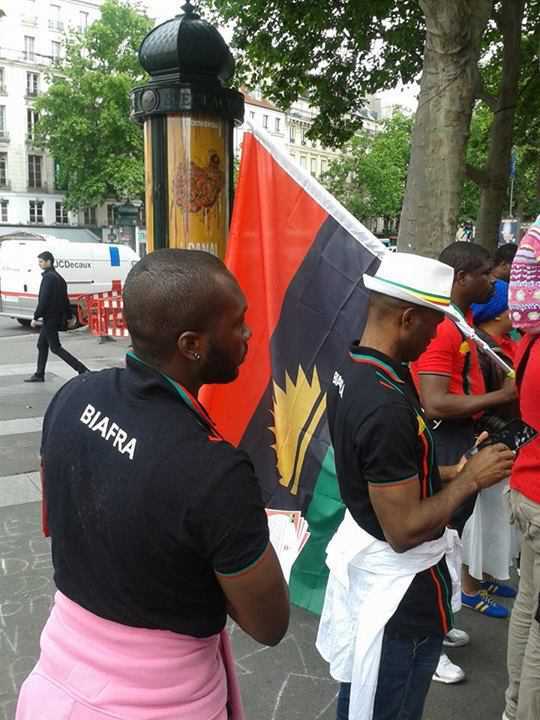 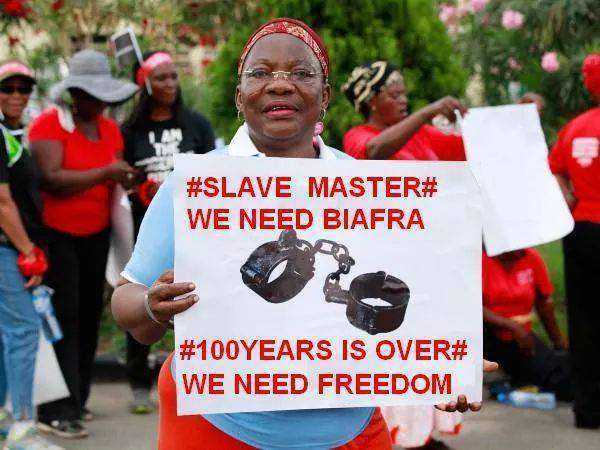 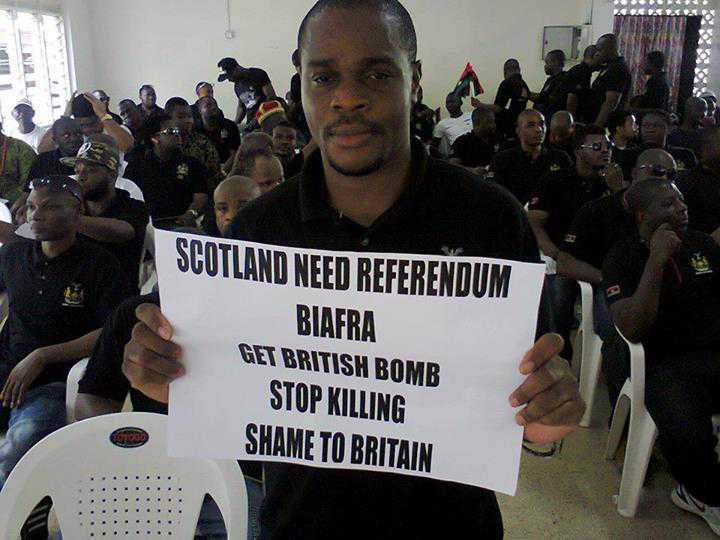 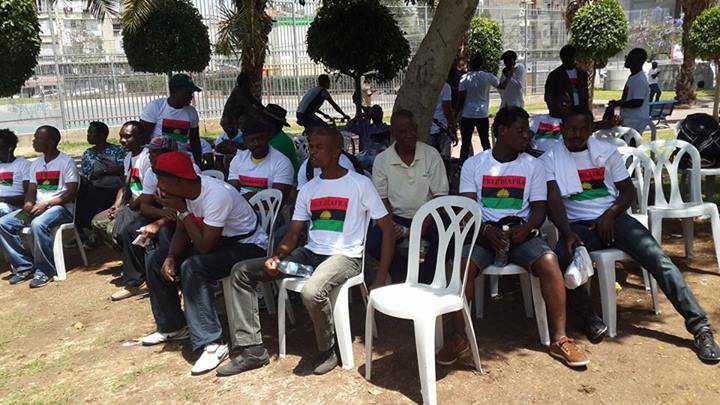 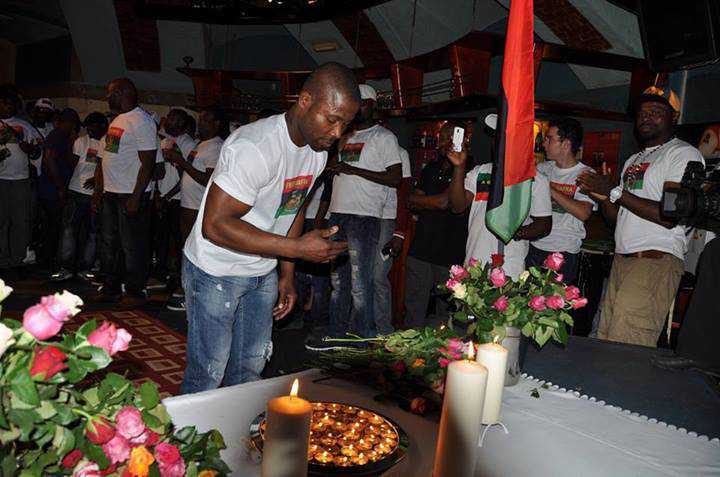 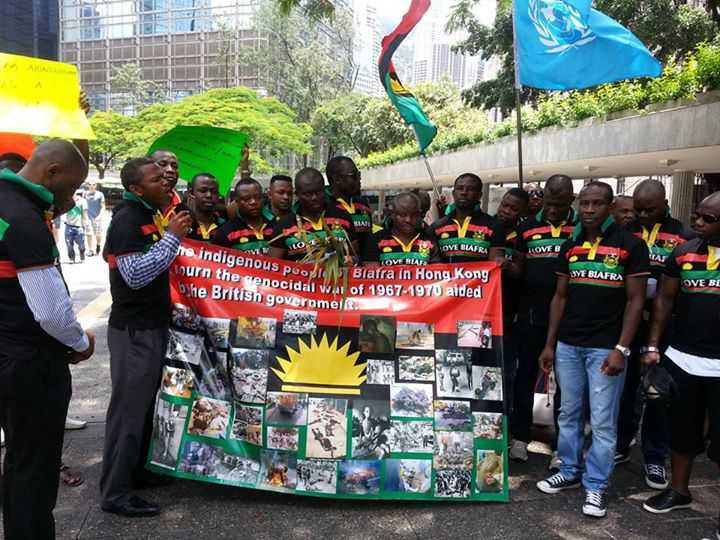 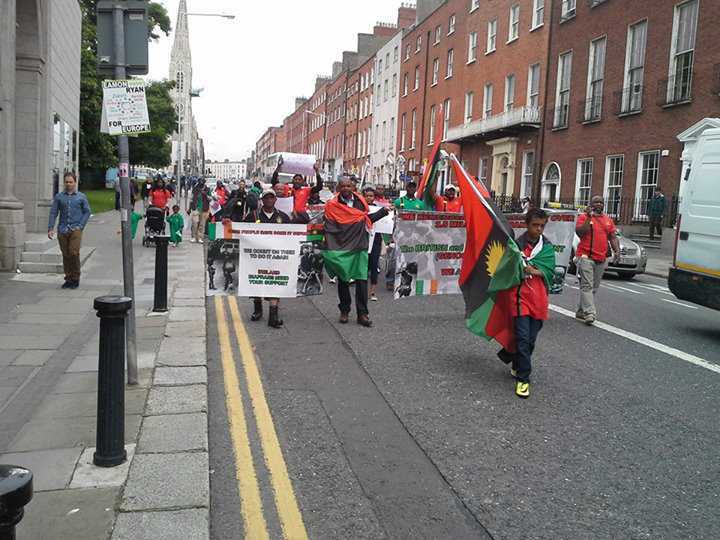 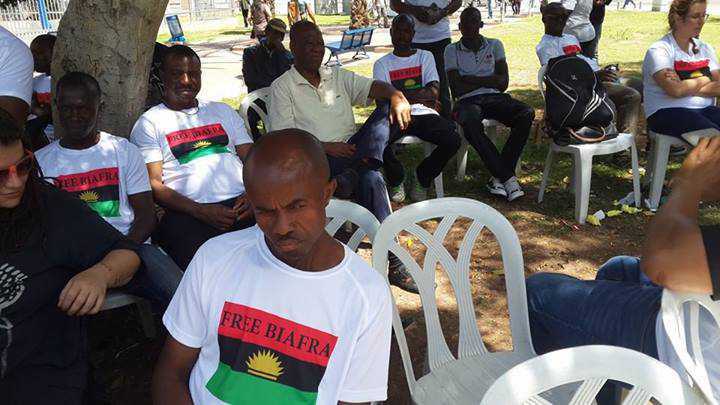 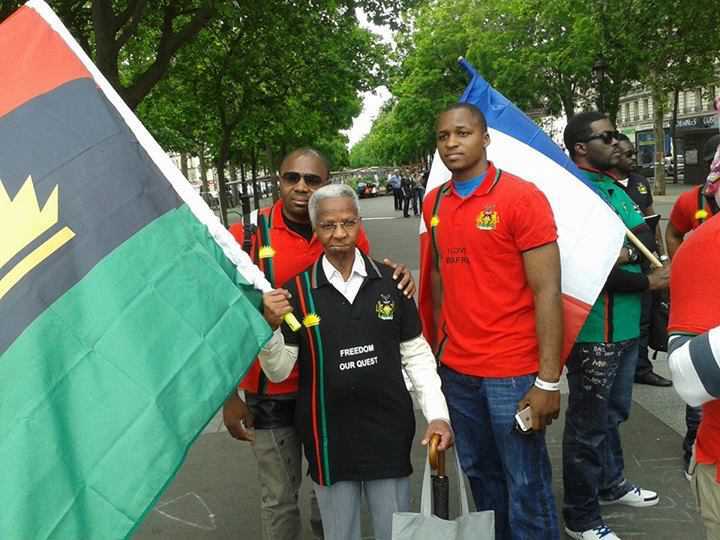 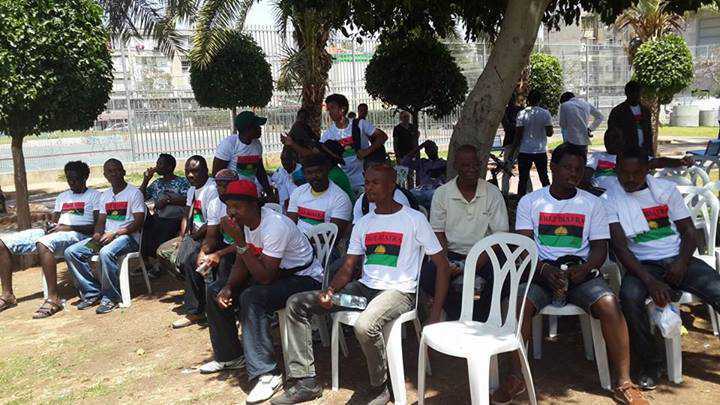 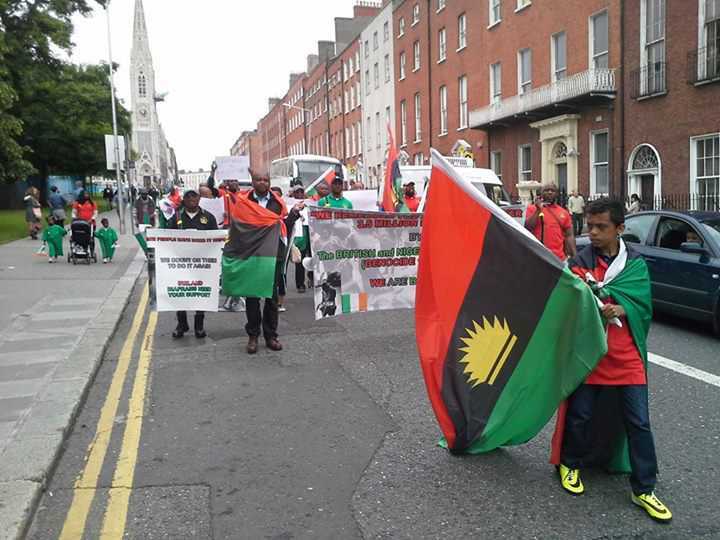 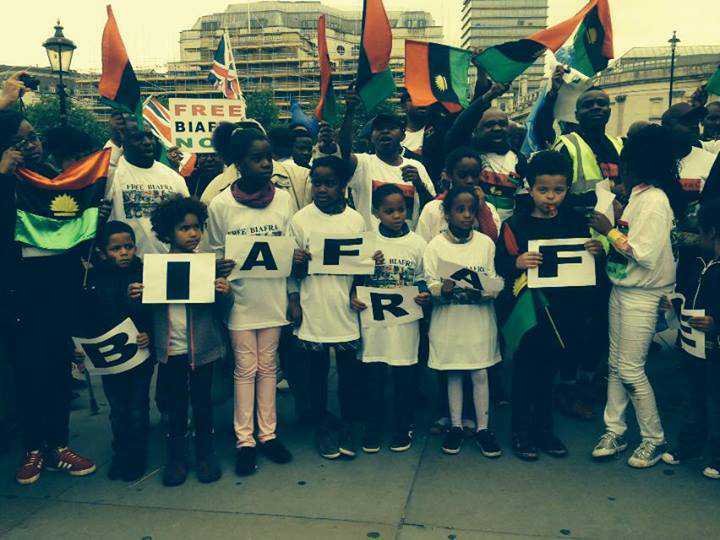 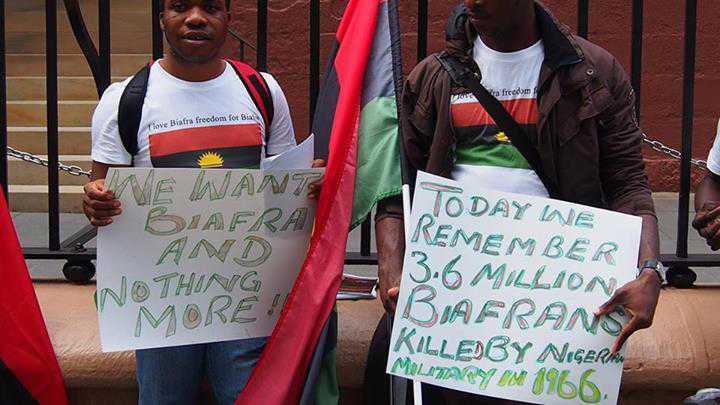 This was backed by Britain, Union of Soviet Socialist Republic (USSR) and Egypt, in the bid to have Biafra re-annexed. 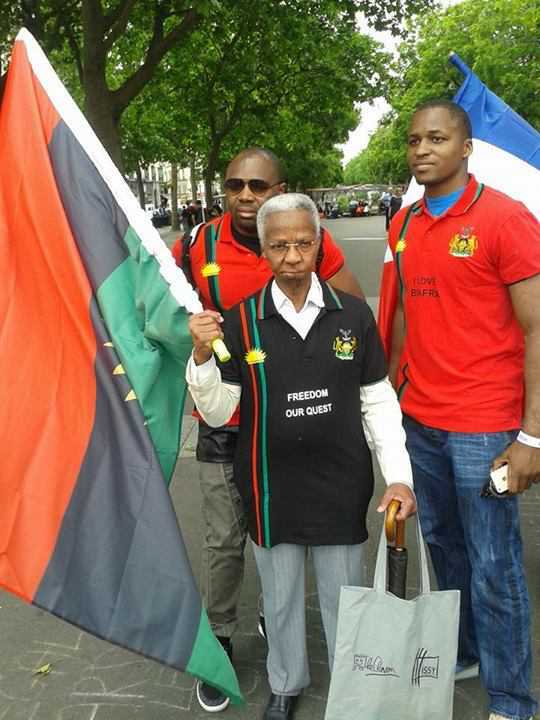 In January 1970, the Biafran second Head of State, late General Philip Effiong relinquished same Biafran sovereignty as a result of the massacre of over three and a half (3.5) million Biafrans including children that were callously starved to death within thirty months duration that Biafra sovereign status lasted, courtesy of the criminal blockade of air, land and sea by the Nigerian government. 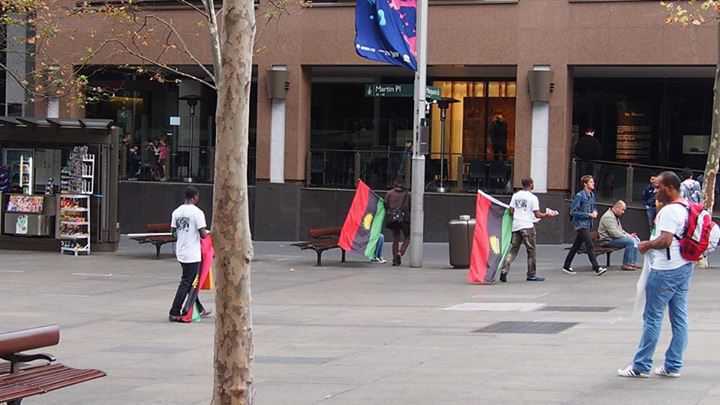 Judging from the above narratives, the issue of self determination should therefore, not be seen as an internal affair of any occupational government especially with what obtains in Nigeria against Biafrans. 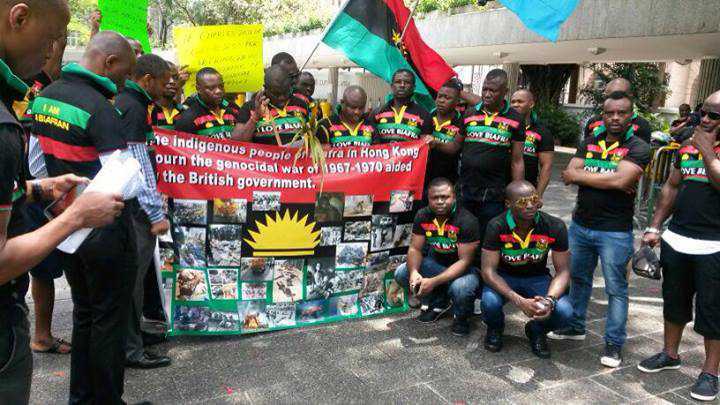 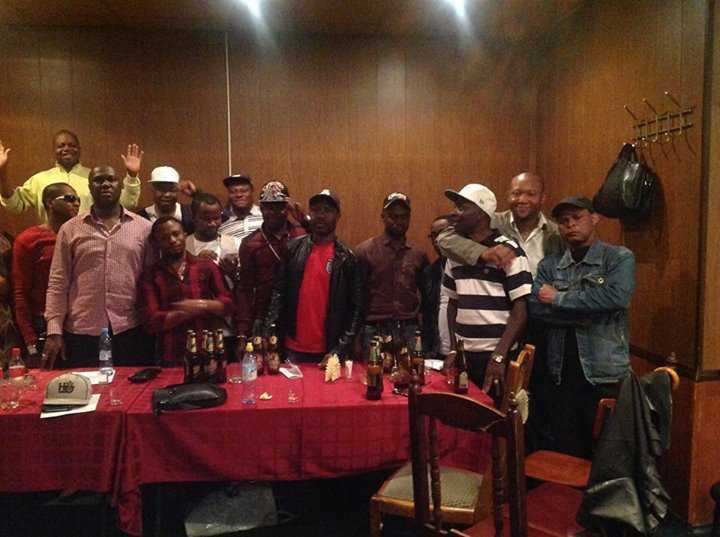 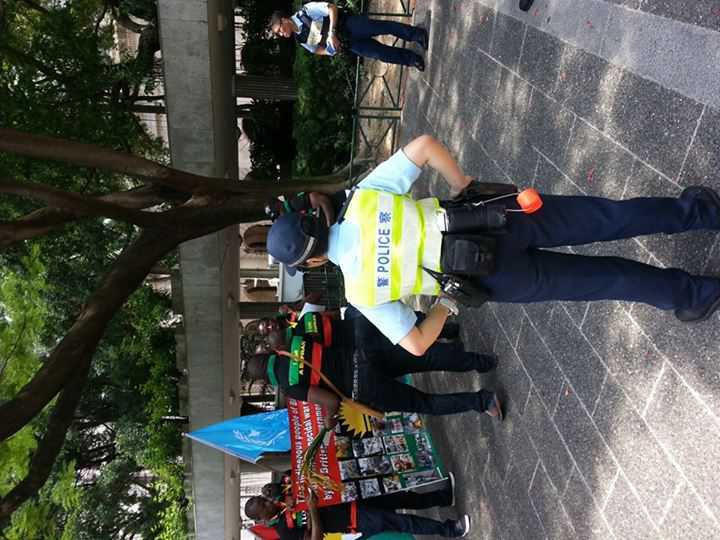 If the occupational government which has it’s presence in the indigenous land, is a voluntary signatory to the United Nations charters empowering the indigenous populations to exercise their rights to self determination, such a government ought to be held accountable for breaking an international law, if it fails to employ the usage of democratic process to ascertain the popularity of separatist agitations at a reasonable time. 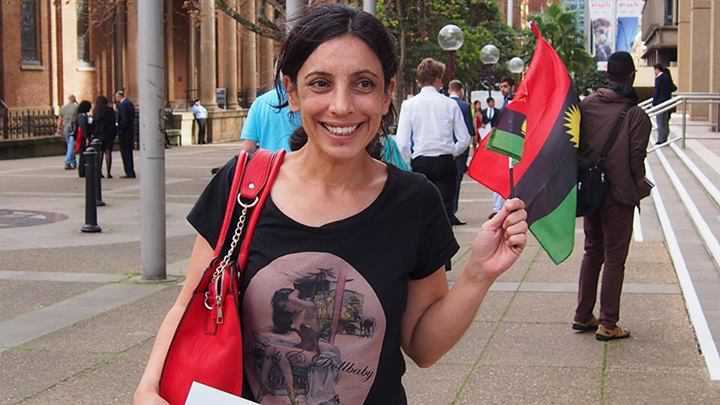 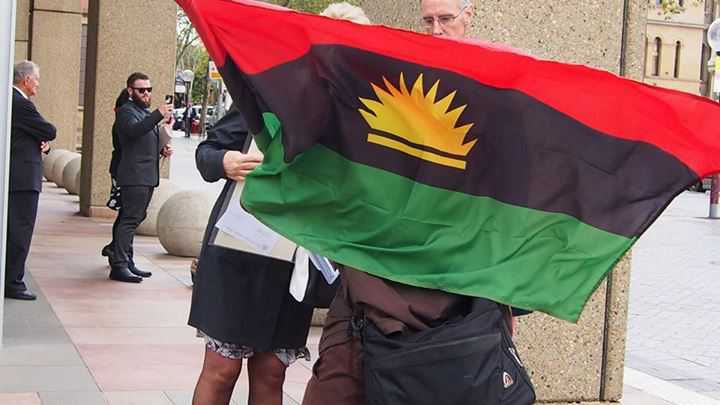 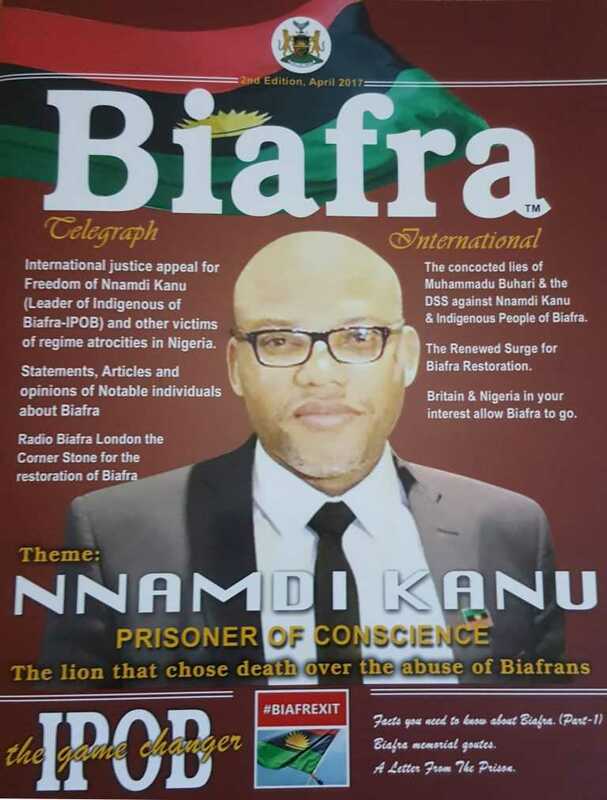 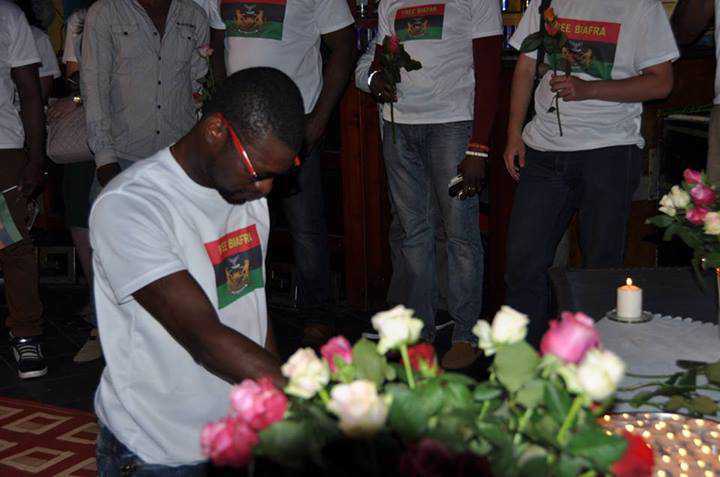 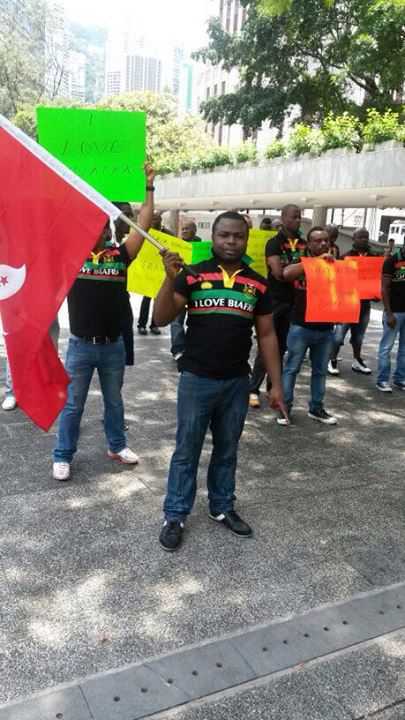 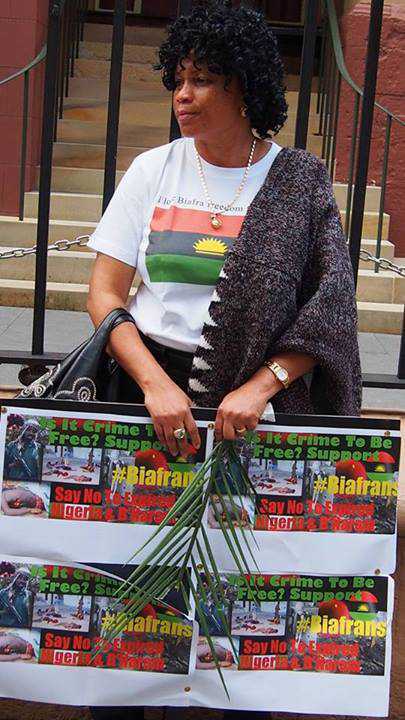 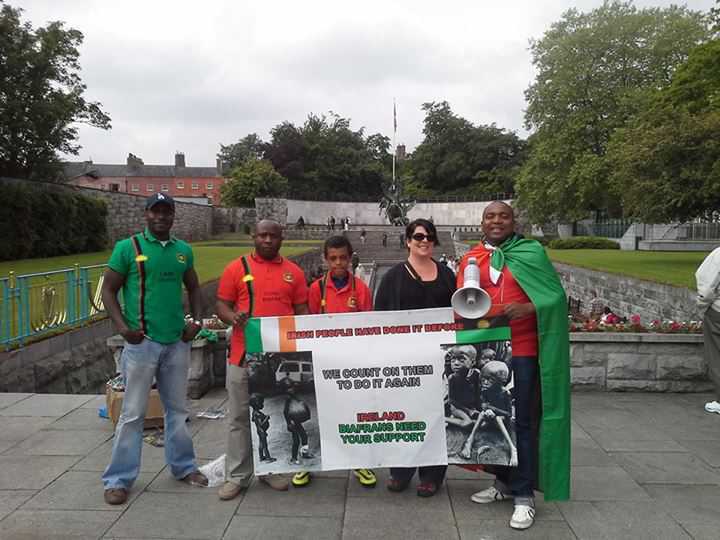 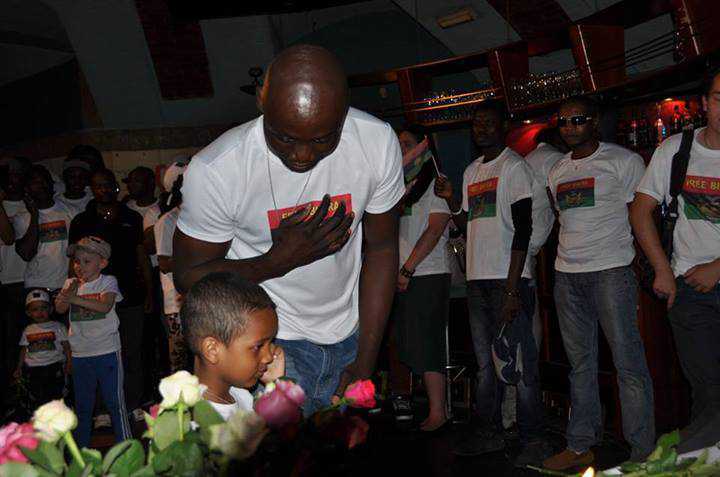 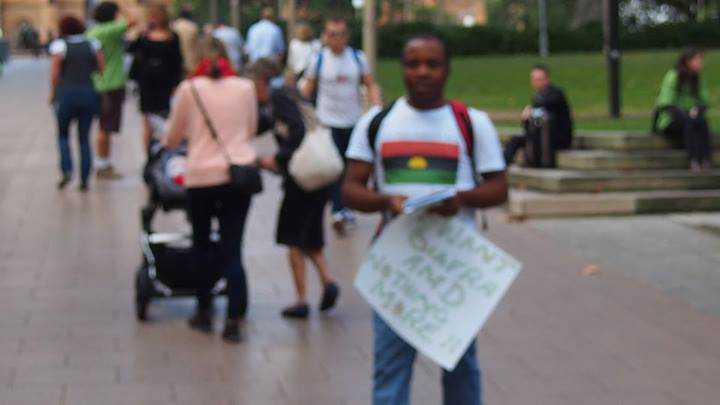 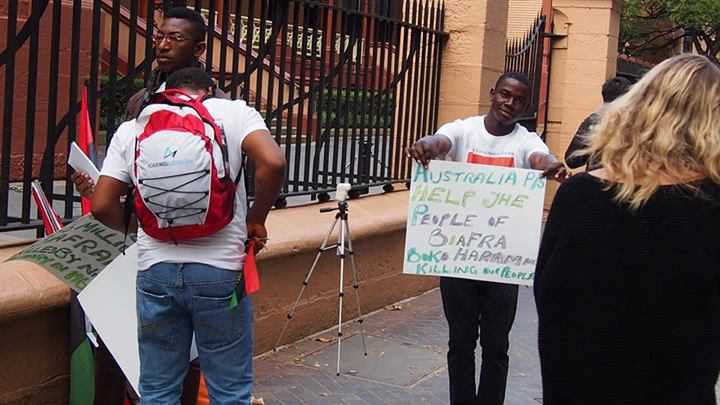 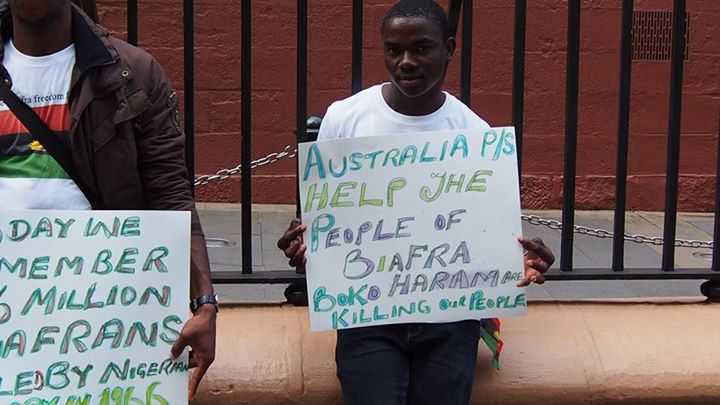 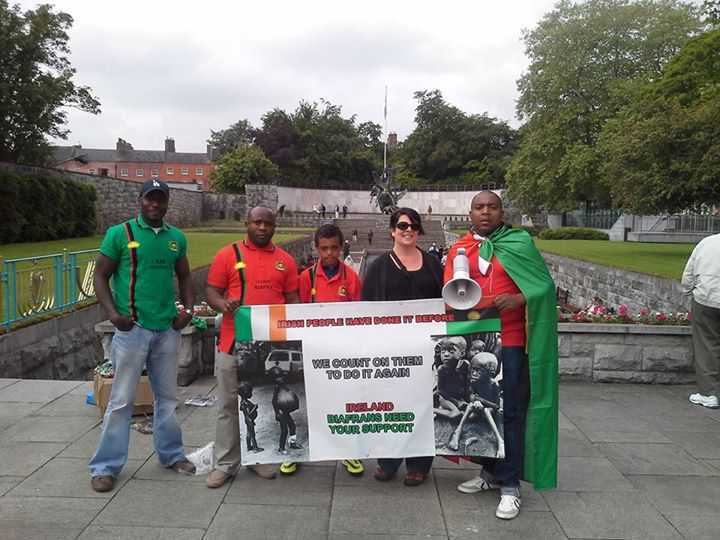 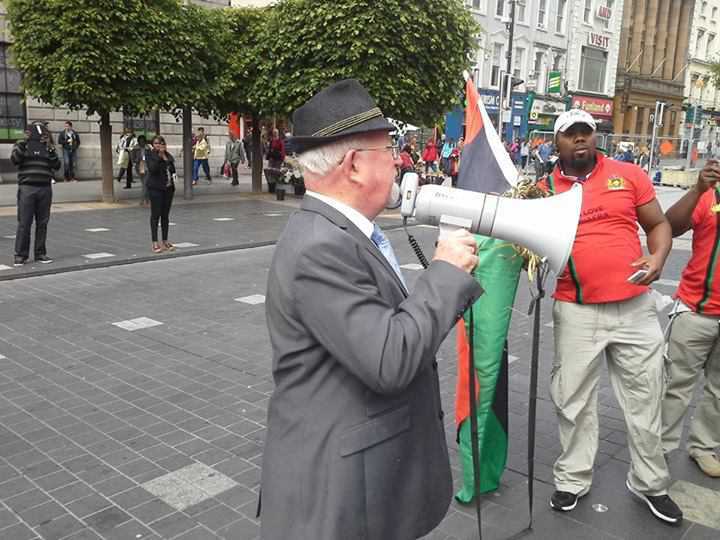 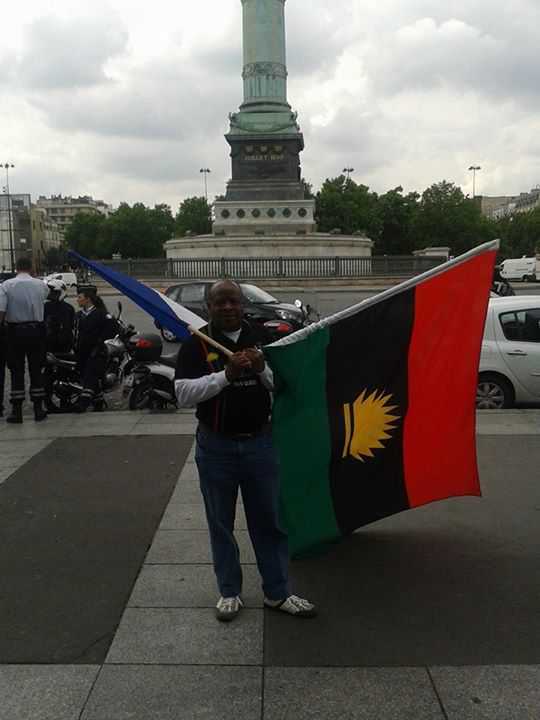 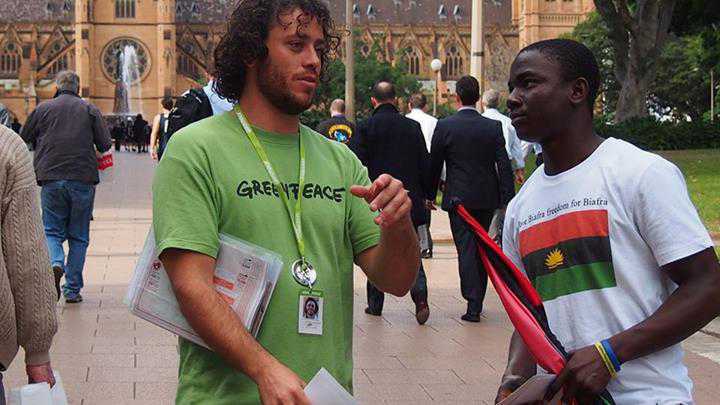 It is rather unfortunate that a world power like the United States of America which is established on the foundation of justice, equity, fairness and human rights protection, will choose to stand with Nigeria while Biafrans are being oppressed and killed for legitimately demanding for the restoration of the sovereignty of their homeland, in accordance with requisite international laws. 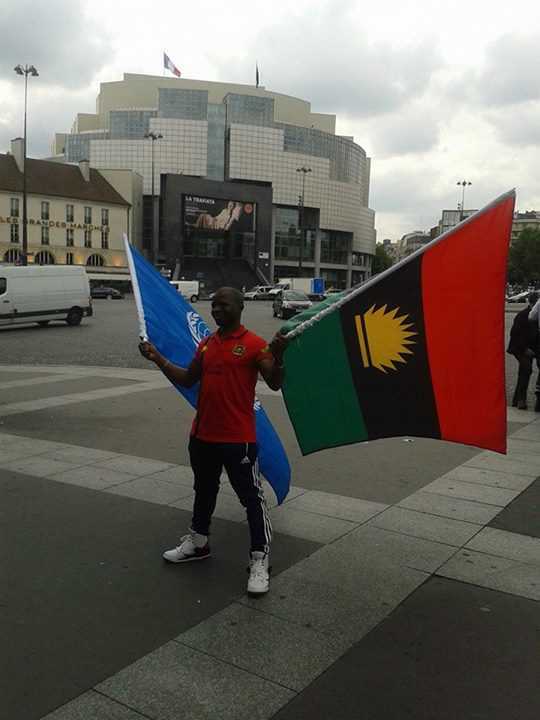 The time has dawned for the five permanent members of the United Nations Security Council (UNSC) namely: the United States of America, United Kingdom, Russia, France and China alongside other potential nations, to categorically explain to the people of Catalonia, Ambazonia, Biafra and other separatist agitating nations, how and when such calls for survival as a people, become classified as internal affairs of the oppressing occupational governments in their lands. 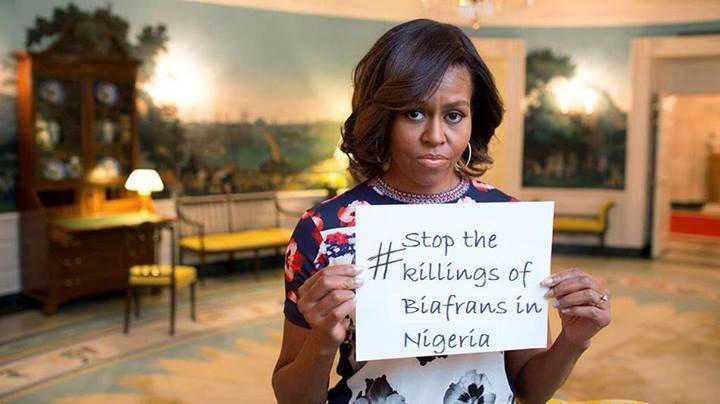 The United States of America, being the global police, has actually descended into an infamy by conniving with Nigeria. 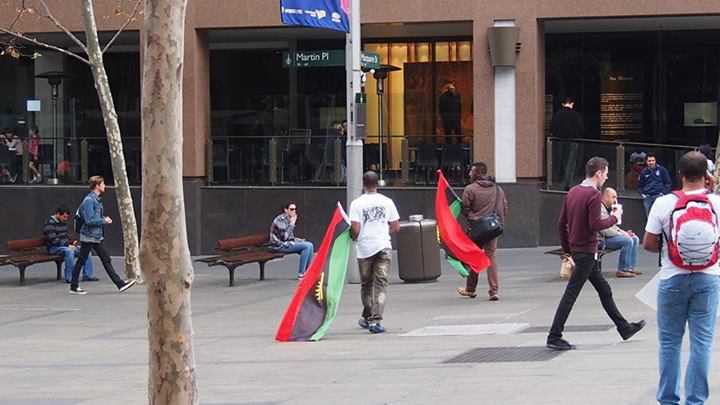 The Islamic government of Nigeria led by the Fulani Islamic fundamentalists has relentlessly been committing all sorts of atrocious crimes against the Biafran people in it’s attempt to suppress the agitations for independence. 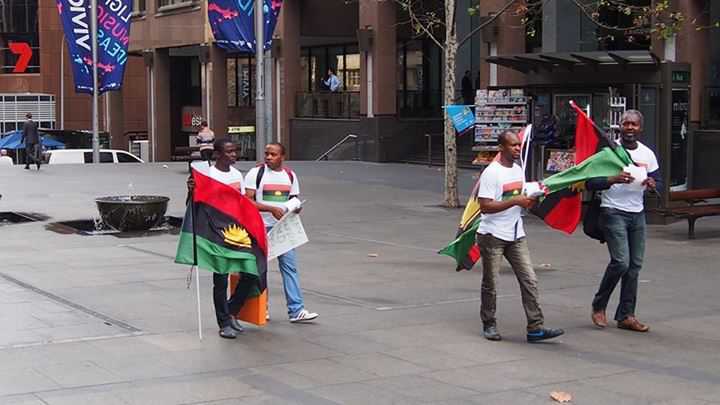 The international community must clearly give explanation to why the Security Council of the United Nations, is terrified or unwilling to deliberate on the issues regarding Biafra. 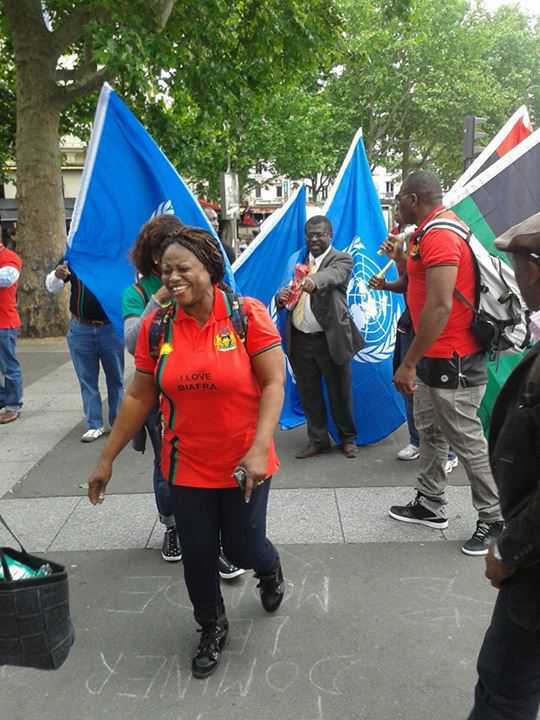 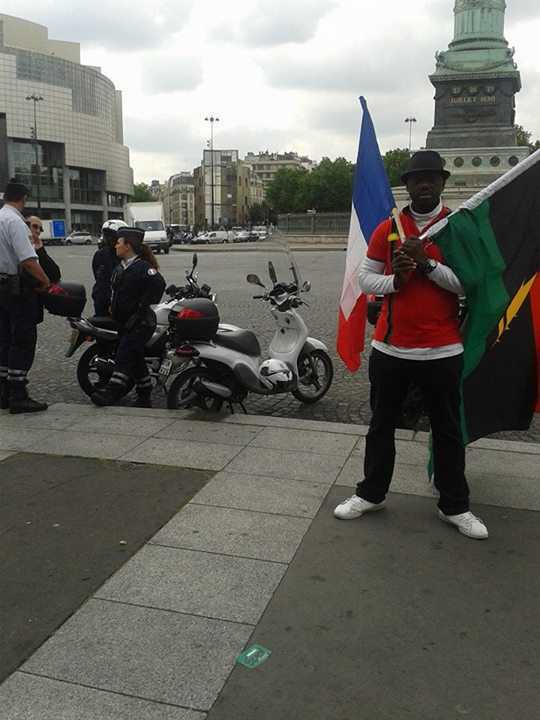 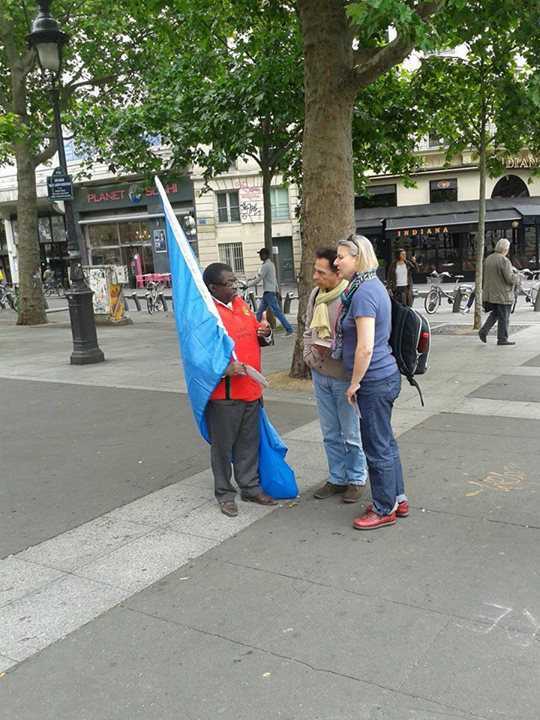 If the United Nations, European Union and African Union fail in their duty to explain when and how freedom agitations became internal affairs of the occupational governments, then it simply means that the deafening silence of the world against the aforementioned indigenous nations seeking their independence, is a deliberate international conspiracy. 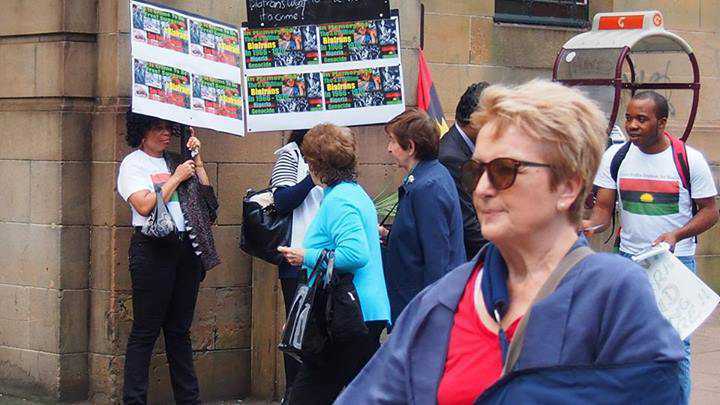 Separatist agitation in simple terms, is nowhere close to internal affairs of oppressive governments of nations because such an exercise is legally right, backed by international laws and conventions.